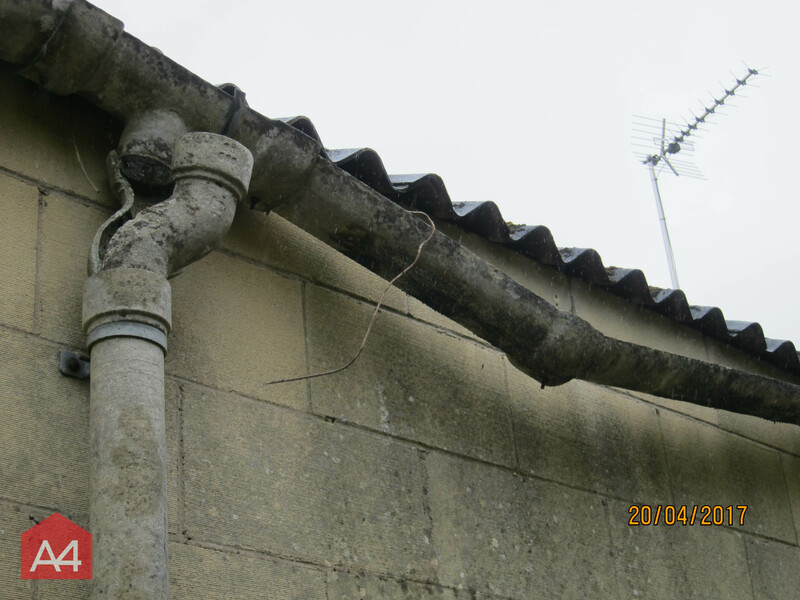 A4 Asbestos has extensive experience with asbestos surveying, testing and removal. 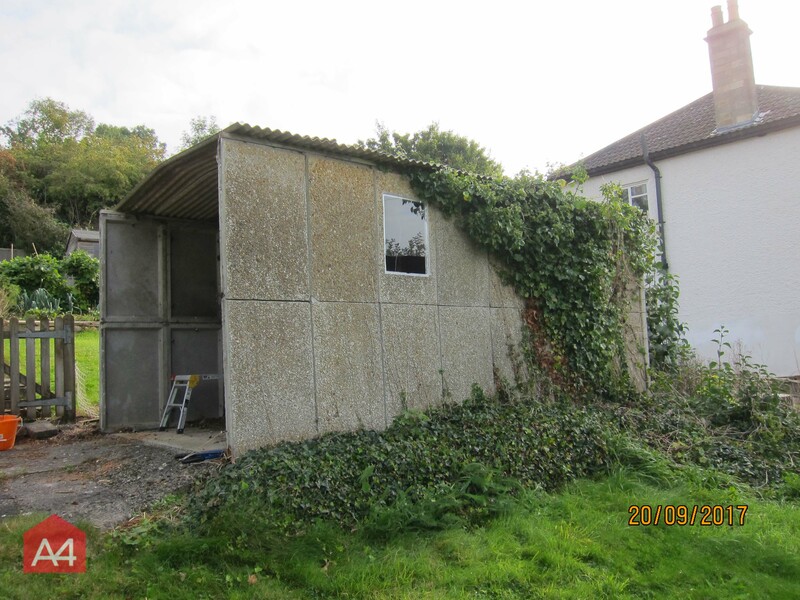 We are recognised as a leading provider of asbestos removal in the South West, with a wide portfolio of domestic customers we are able to cater for your needs regardless of your requirements. 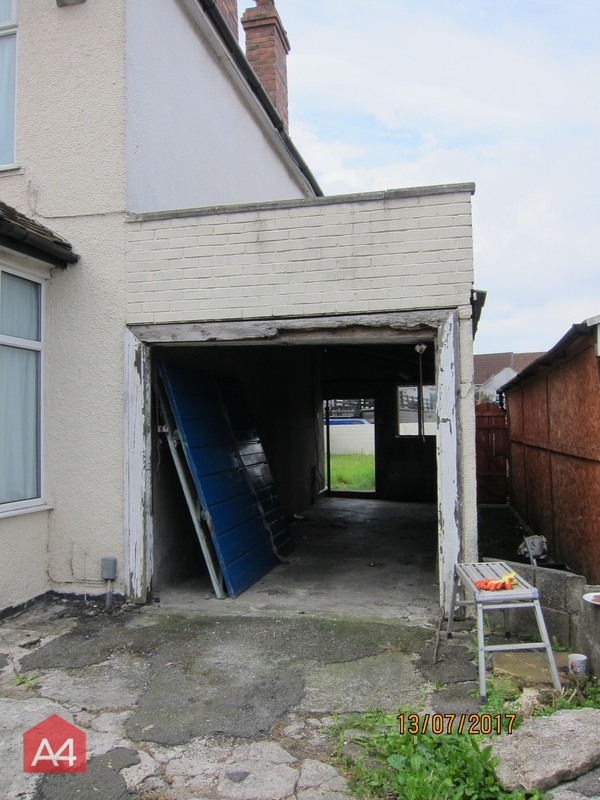 Please find our case studies below displaying a handful of removals we have carried out recently. 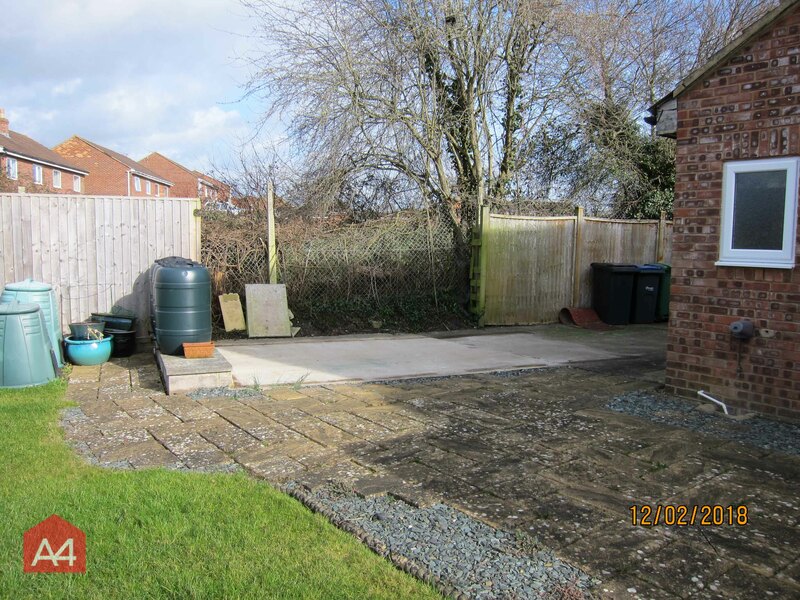 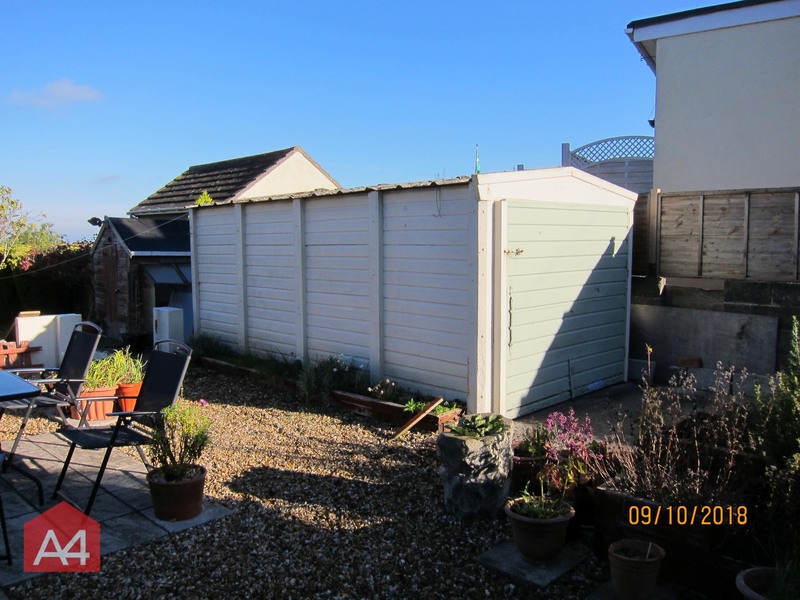 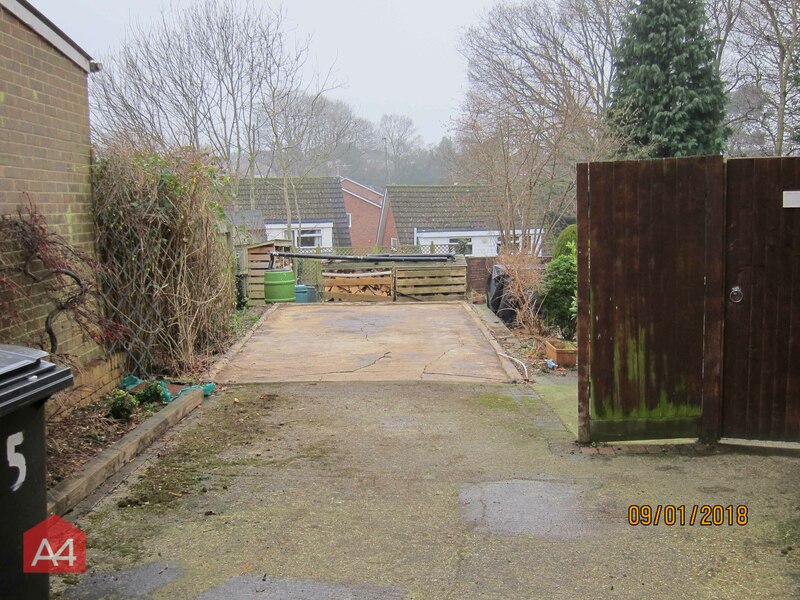 05/02/2019 -The first photos for 2019, we're back on entire garage removal, this time in Pucklechurch. 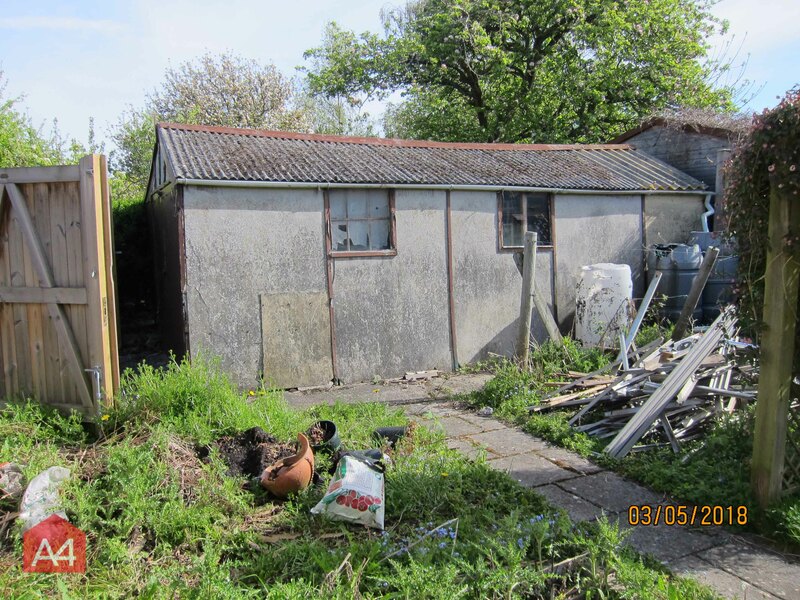 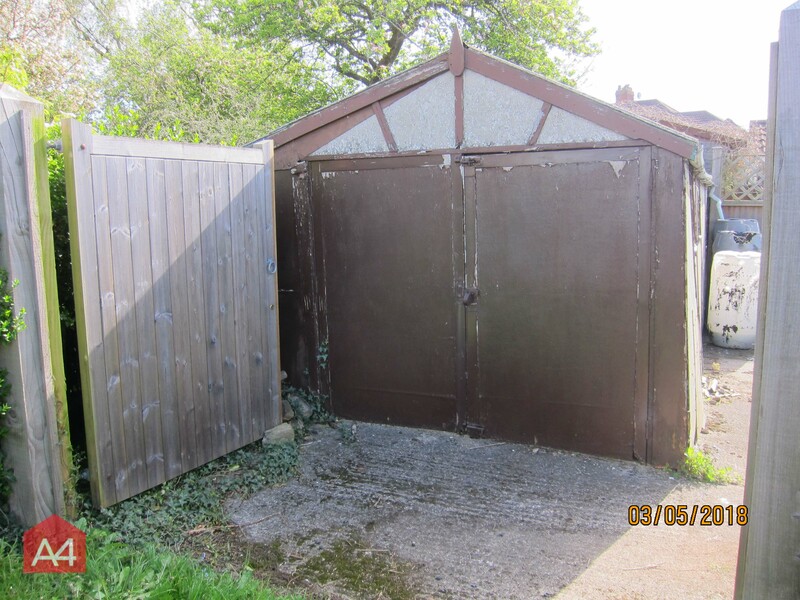 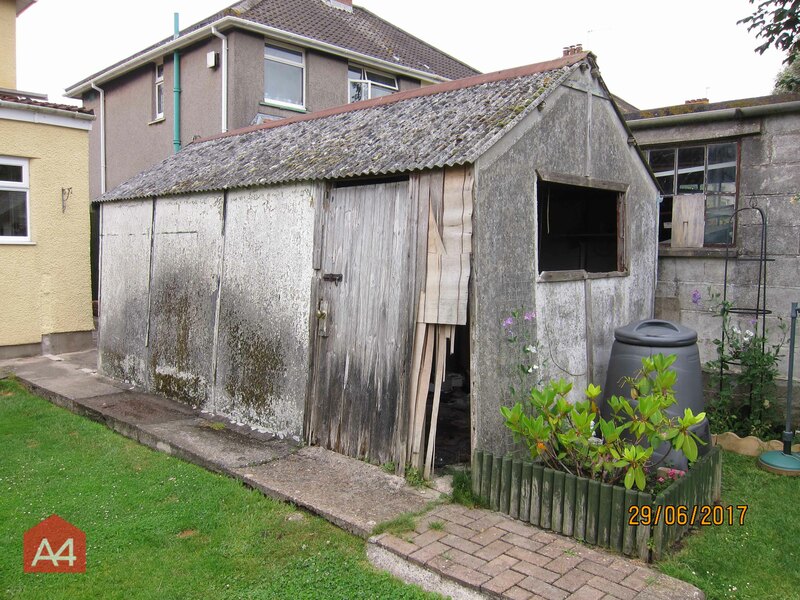 A timber frame single garage with a corrugated asbestos cement roof and asbestos cement sides. 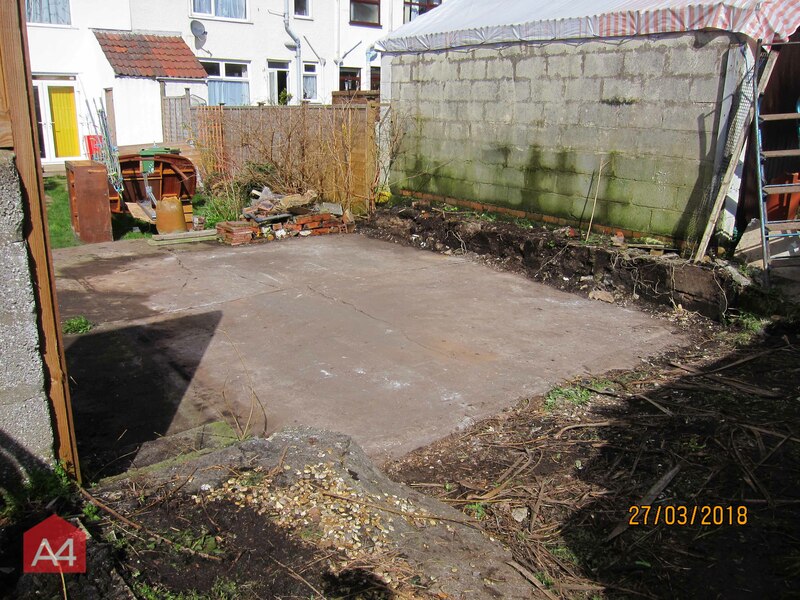 We removed the entire structure to concrete slab level as you can see from the attached photos. 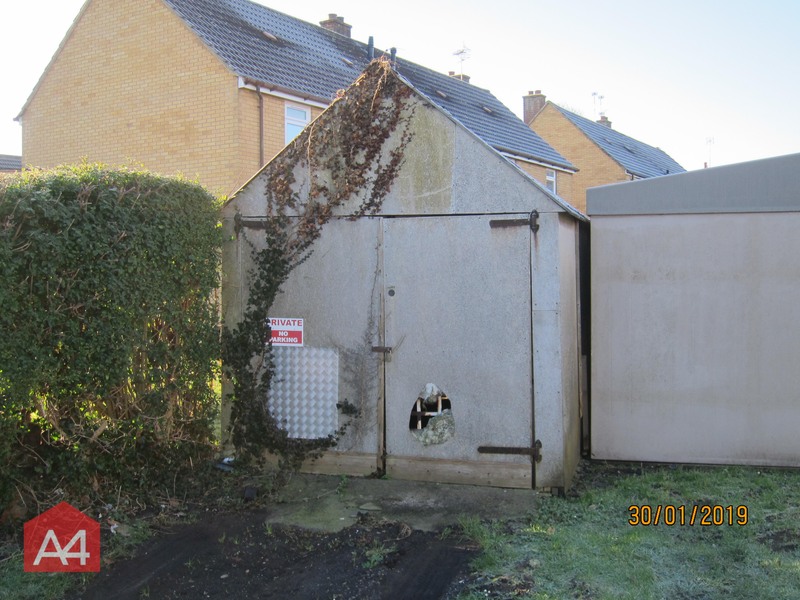 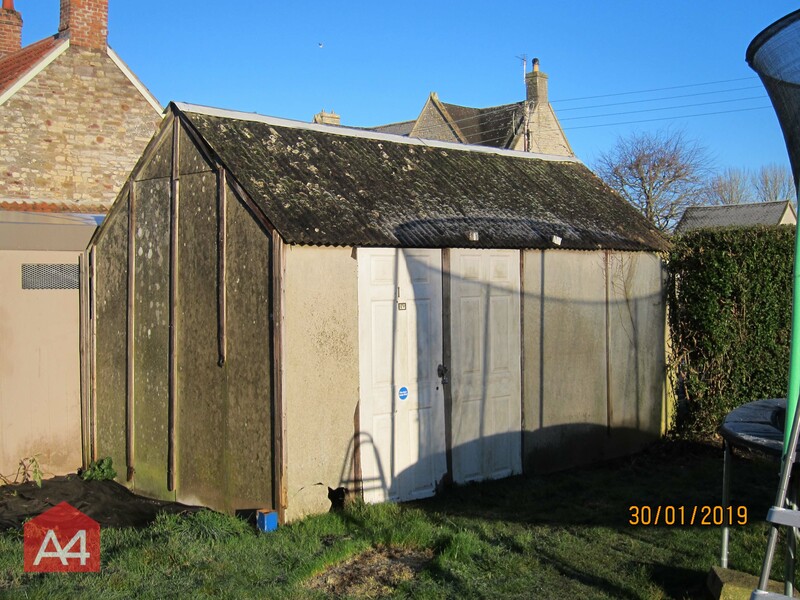 30/01/2019 -The first photos for 2019, we're back on entire garage removal, this time in Pucklechurch. 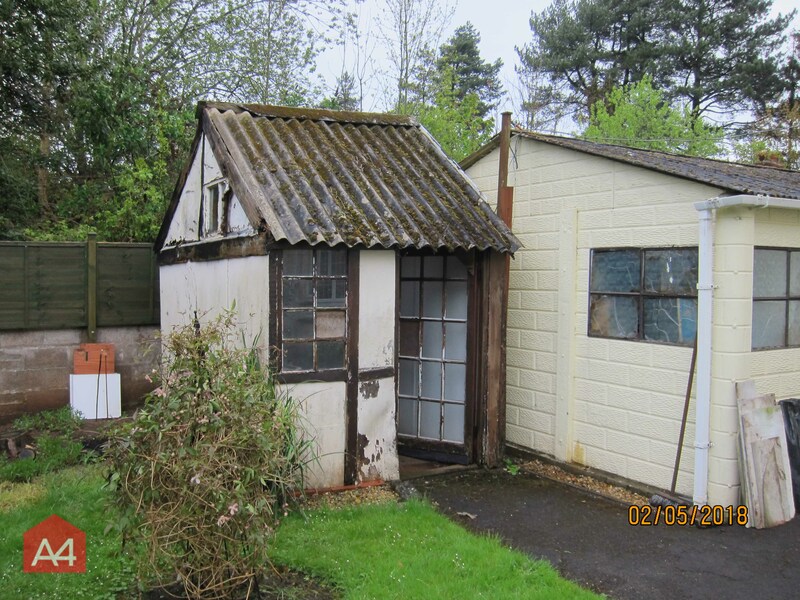 A timber frame single garage with a corrugated asbestos cement roof and asbestos cement sides. 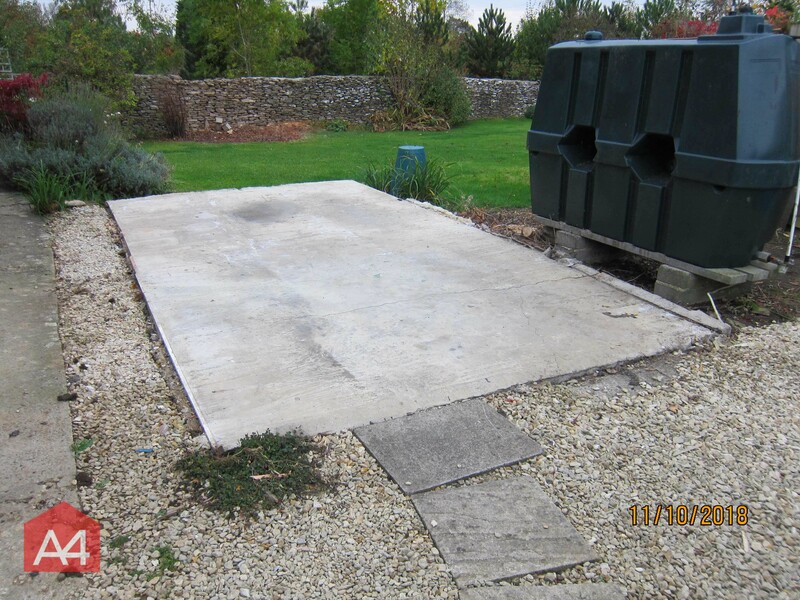 We removed the entire structure to concrete slab level as you can see from the attached photos. 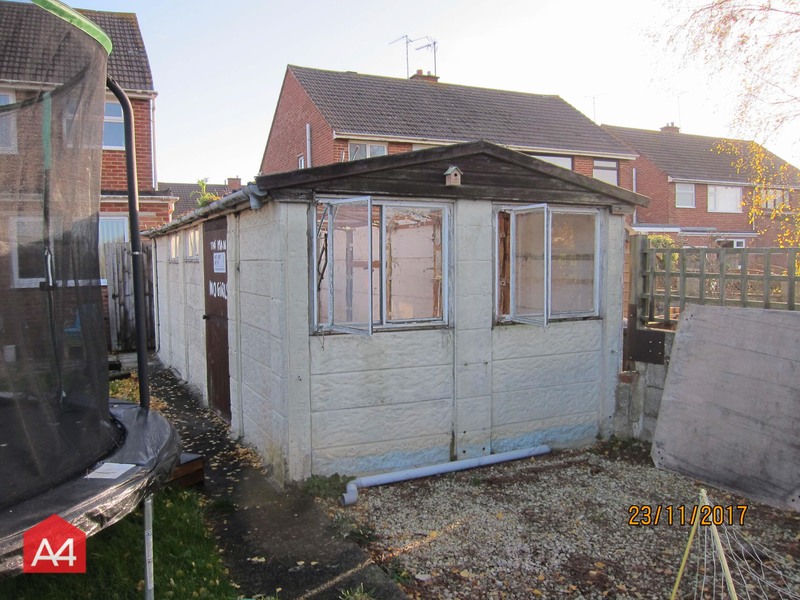 11/10/2018 - Photos of today's asbestos clad garage removal in Gloucestershire. 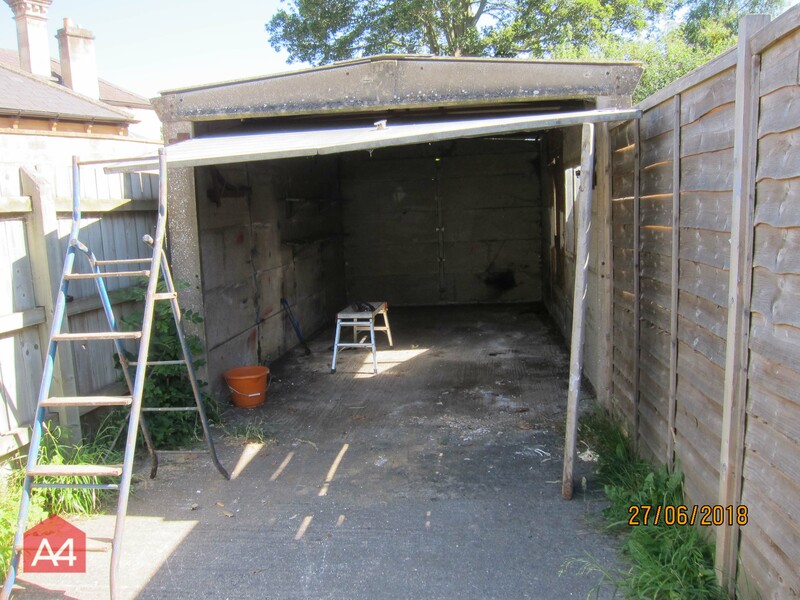 The garage had asbestos containing cement on the roof and walls. 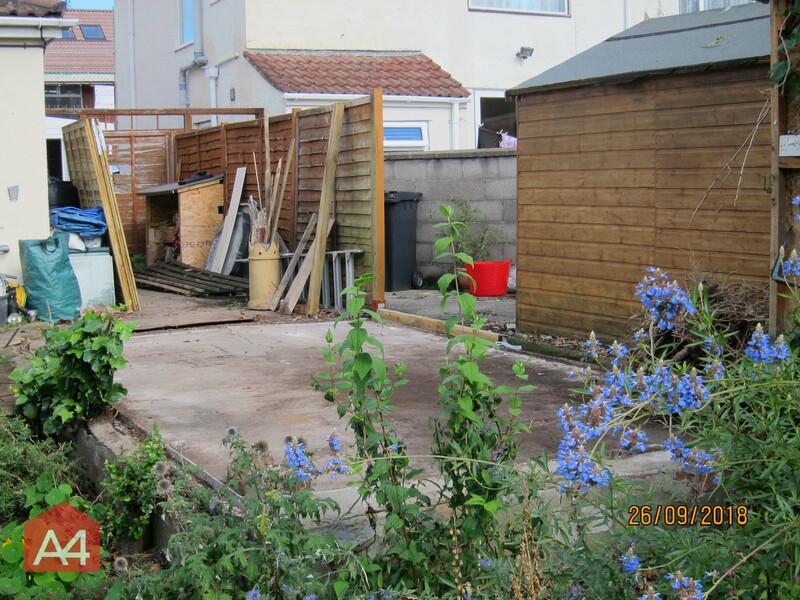 09/10/2018 - Photos for today's garage demolition in Peasedown St John. 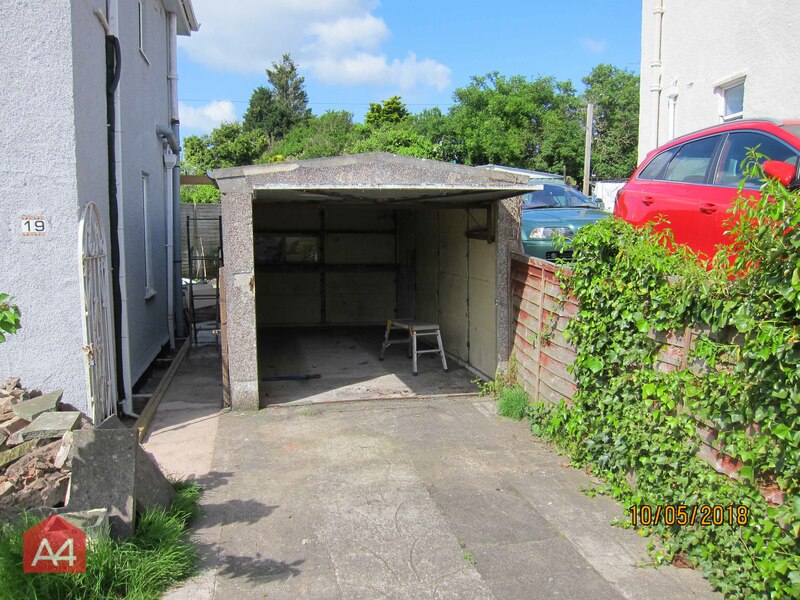 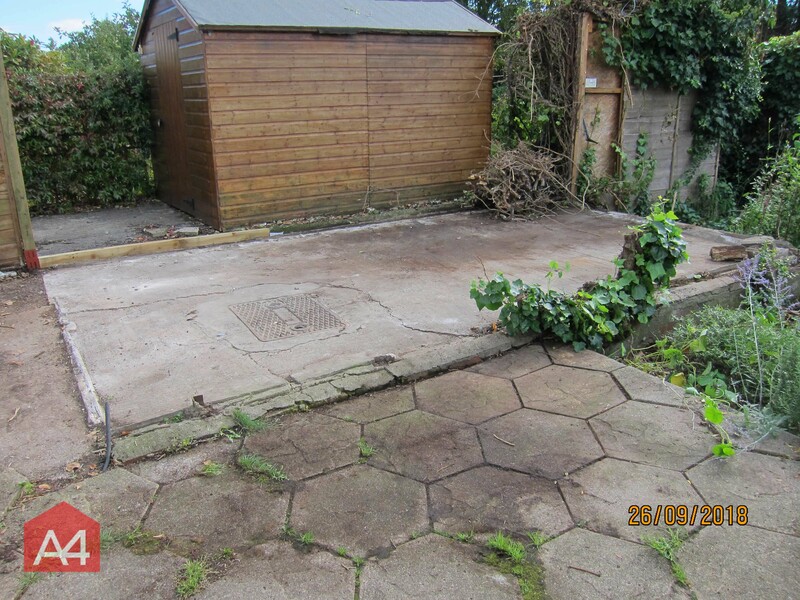 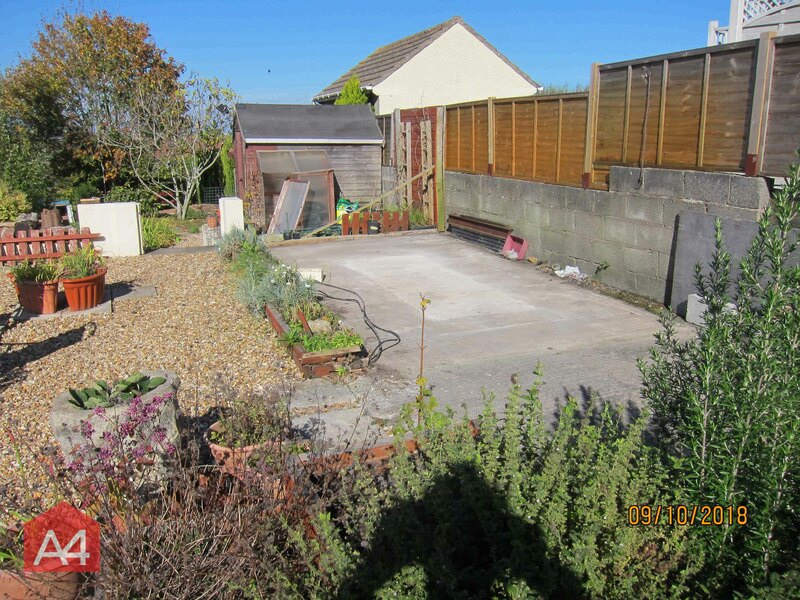 02/10/2018 - Photos of today's whole garage removal in Saltford. 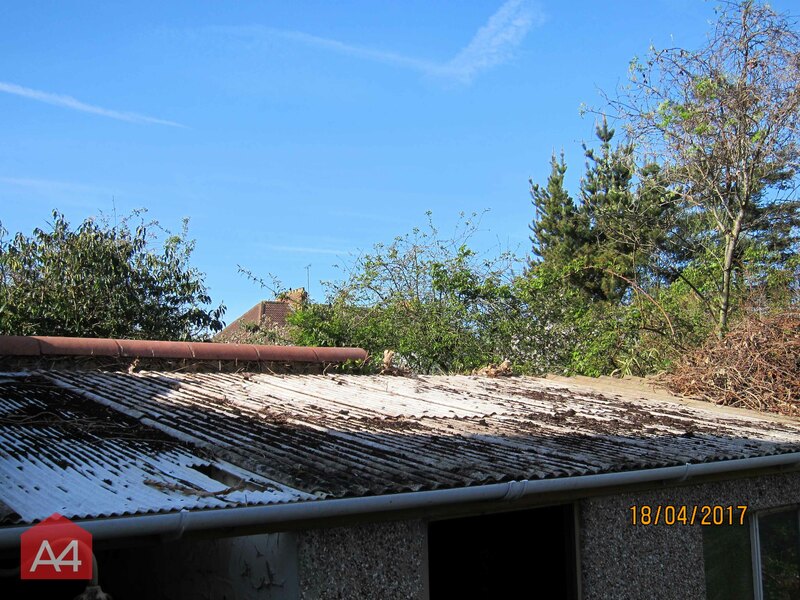 It shows asbestos cement roof sheets which we take off site and carry to a site licensed to receive hazardous waste. 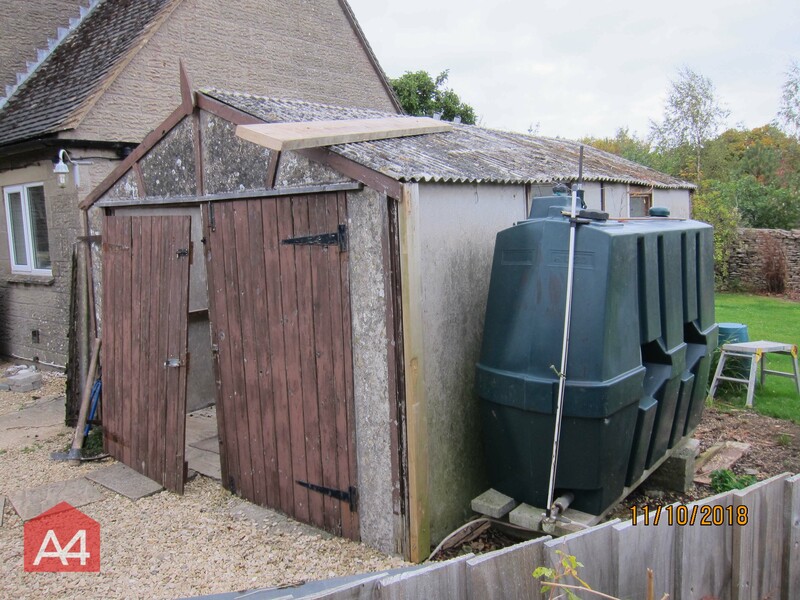 We also issue an Environment Agency consignment note. 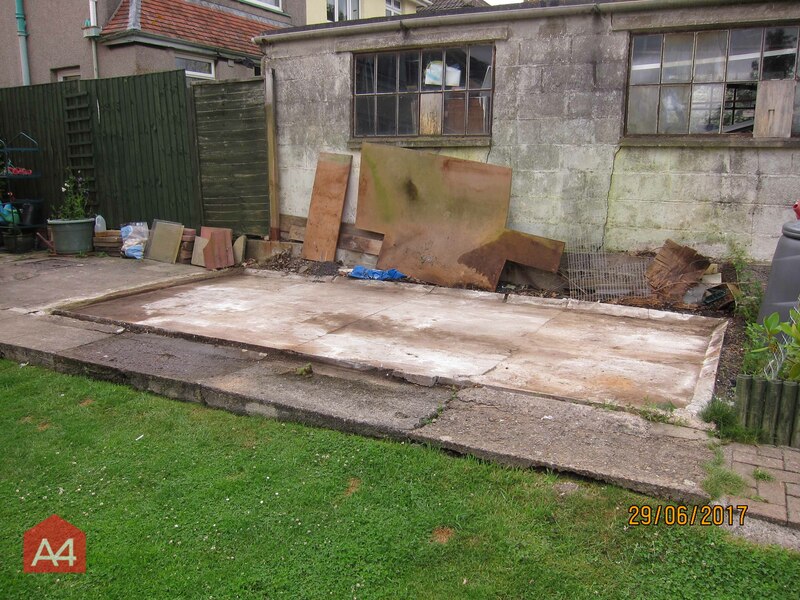 Pre cast concrete garage, we arrange an on site skip. 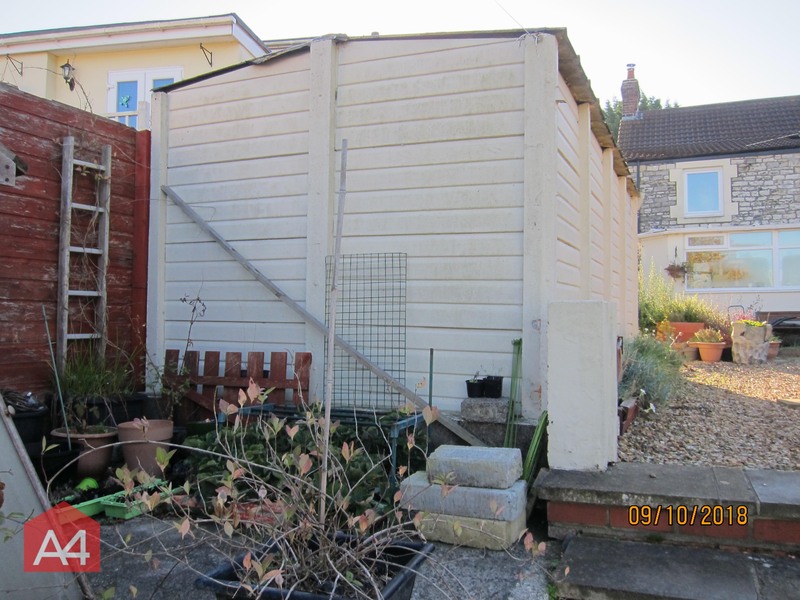 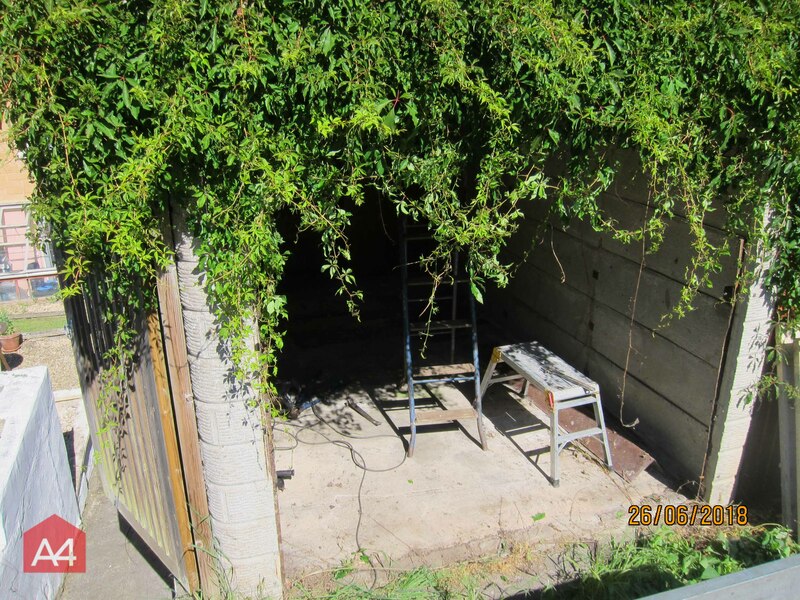 26/09/2018 - Photos attached for an asbestos cement garage removal in Bristol. 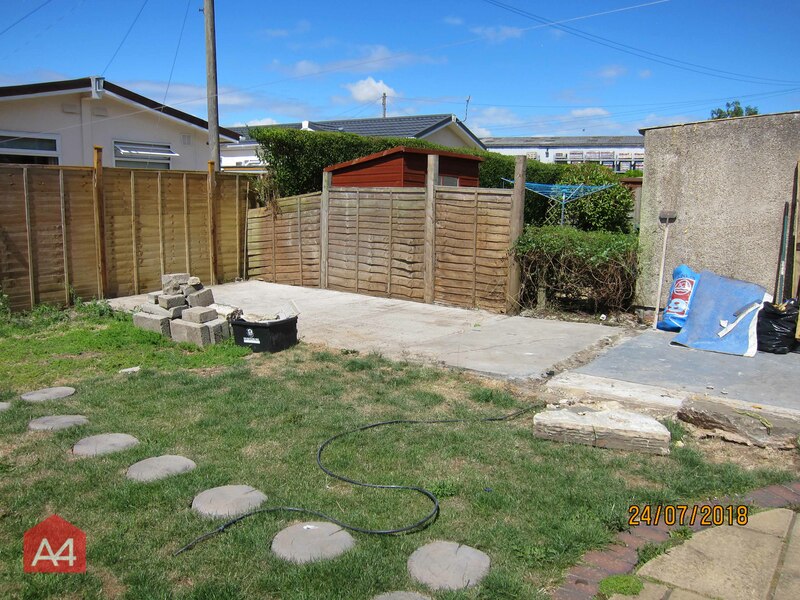 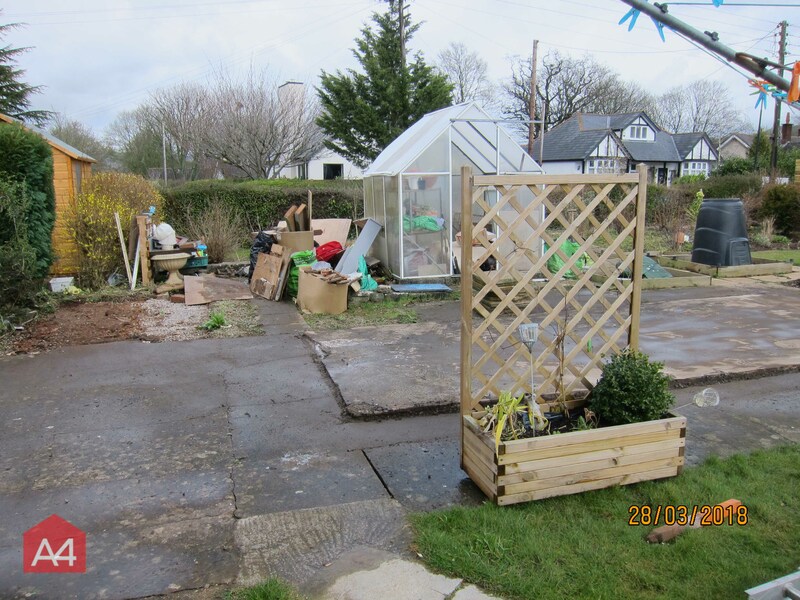 The owners are delighted that their garden is so much bigger, they are going to create a summer house and extend their garden. 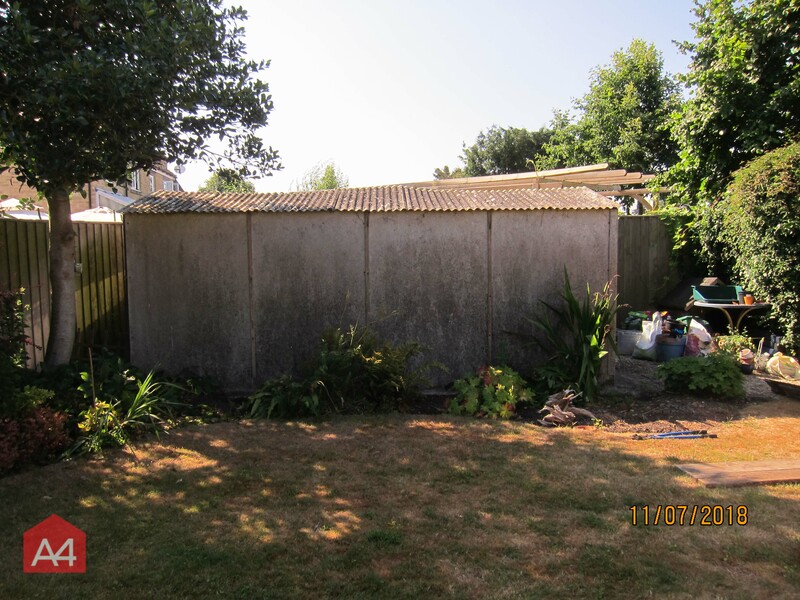 24/07/2018 - Photos attached for today's whole garage removal with asbestos cement roof in extreme heat! 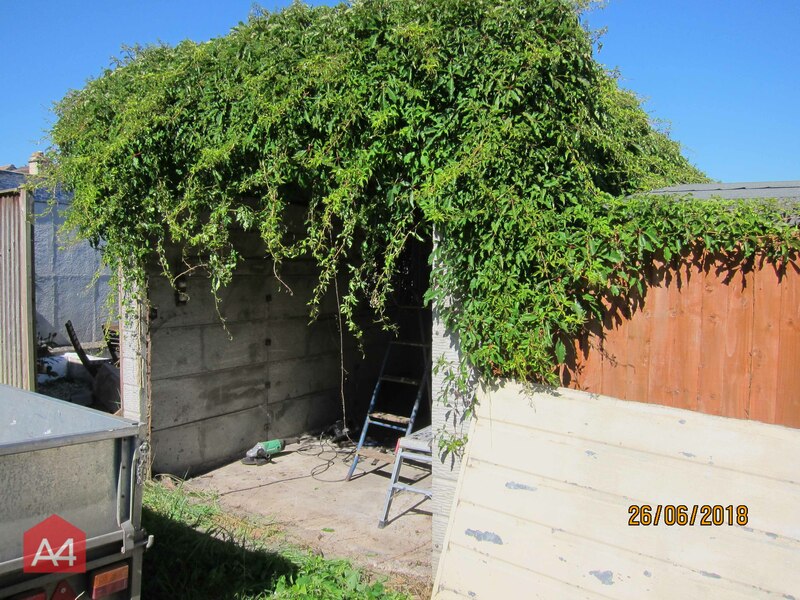 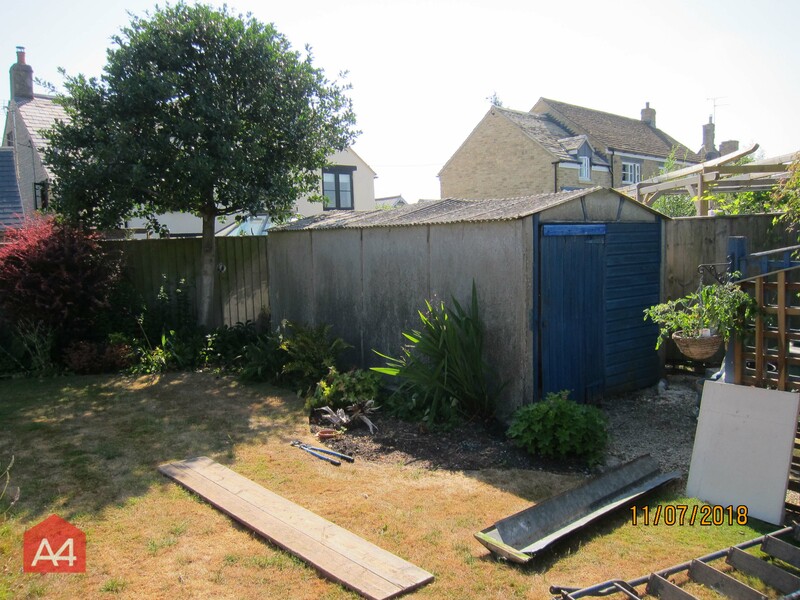 11/07/2018 - Attached are some photos of today's job, an entire garden shed/garage removal in Wiltshire. 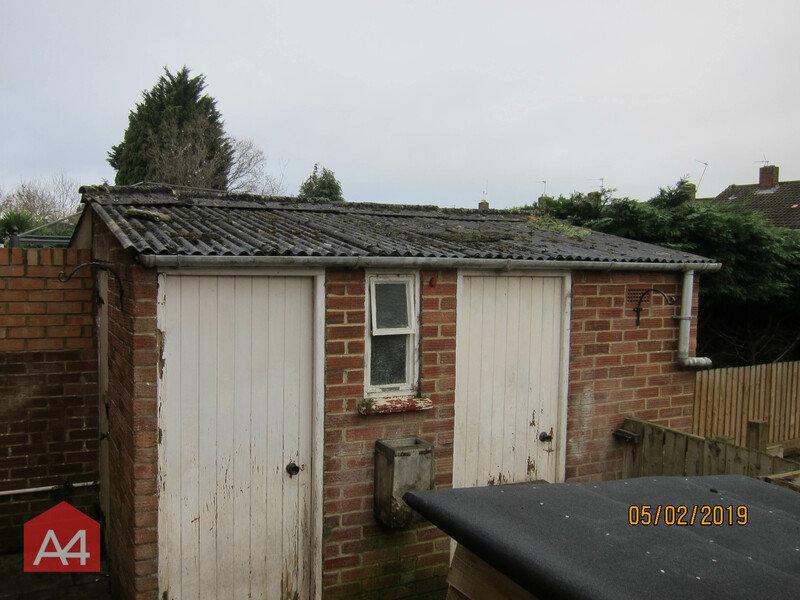 Both the roof and the sides are asbestos cement. 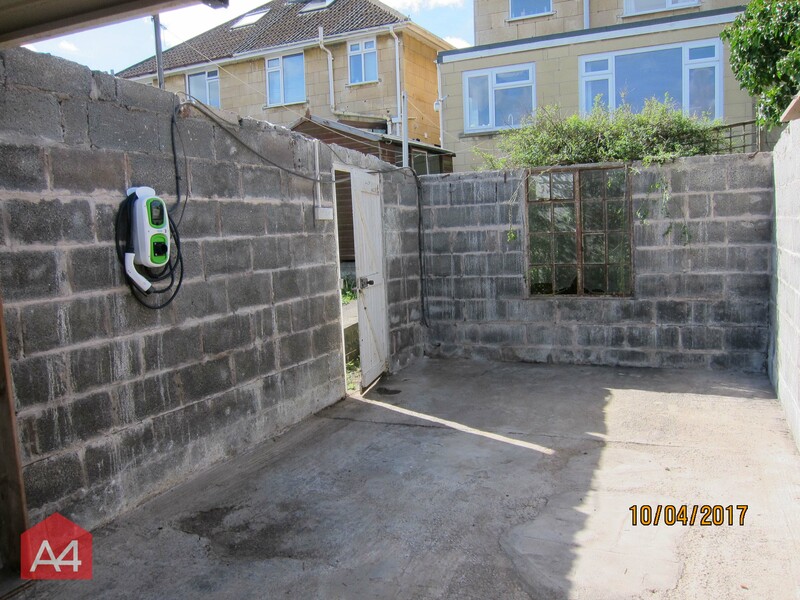 27/06/2018 - Photos attached for today's whole garage demolition in Bradford on Avon. 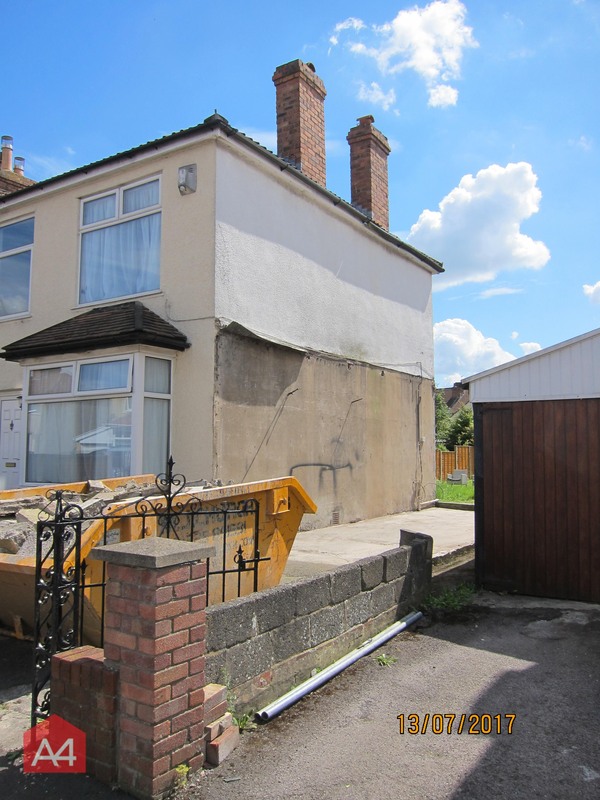 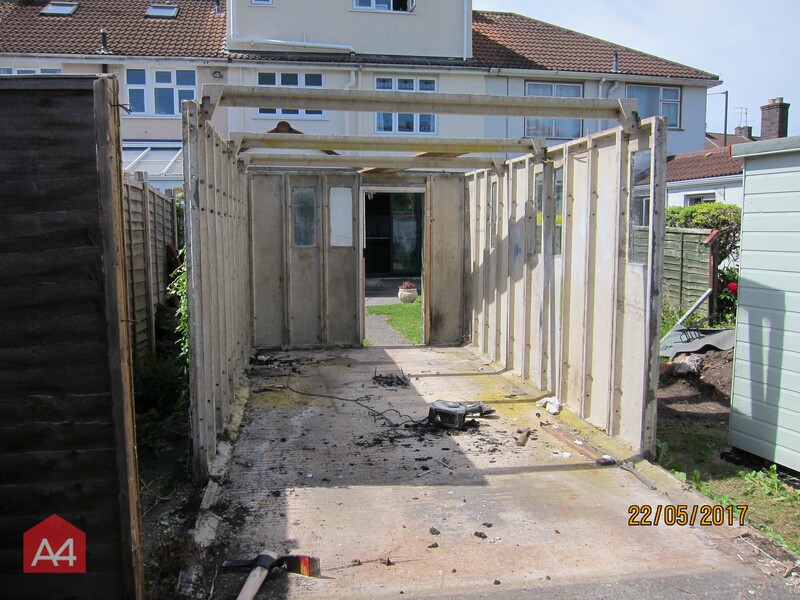 10/05/2018 - Photos attached for yesterday's garage demolition in Bristol - This garage had a pre-cast concrete frame, steel frame and asbestos cement roof. 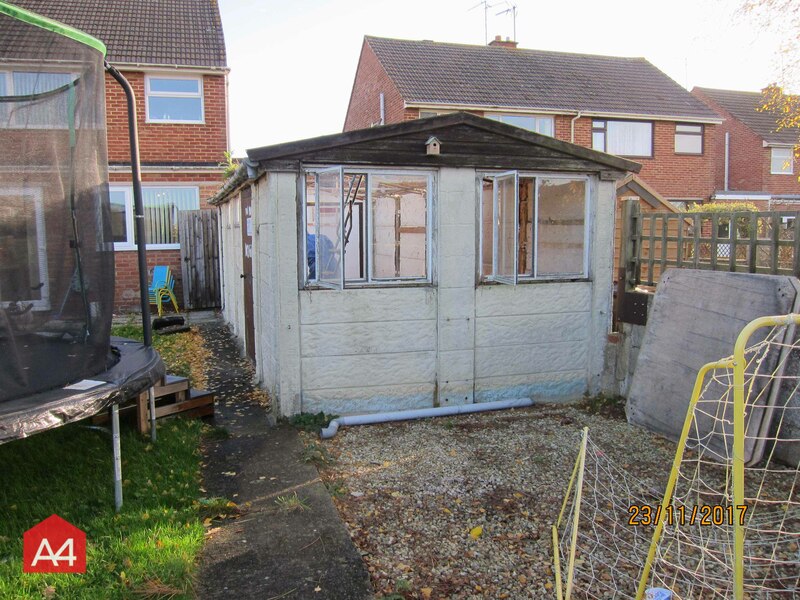 Quickly taken down so the family can make use of the space! 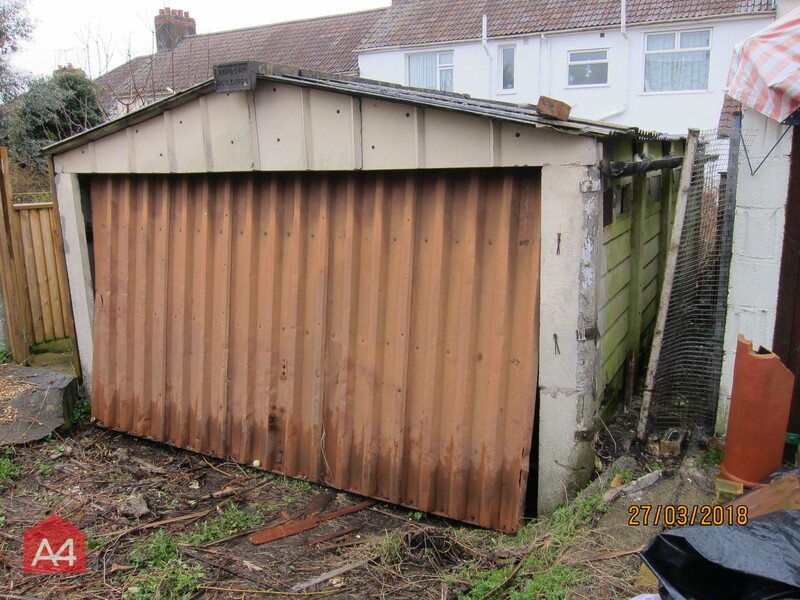 03/05/2018 - Today we removed a timber/steel frame garage that was clad with asbestos cement sheets on the roof and walls. 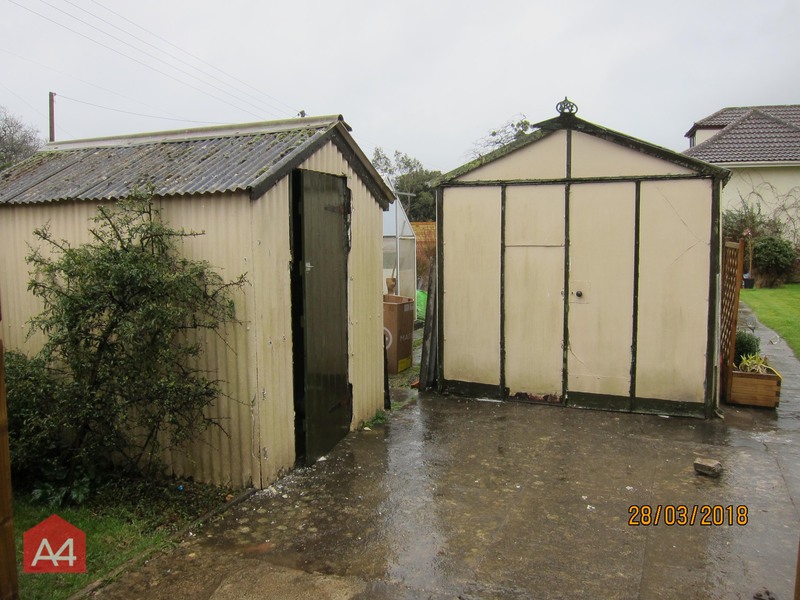 The hazardous waste is carried to a site that is licensed to receive hazardous waste, the timber and steel are recycled. 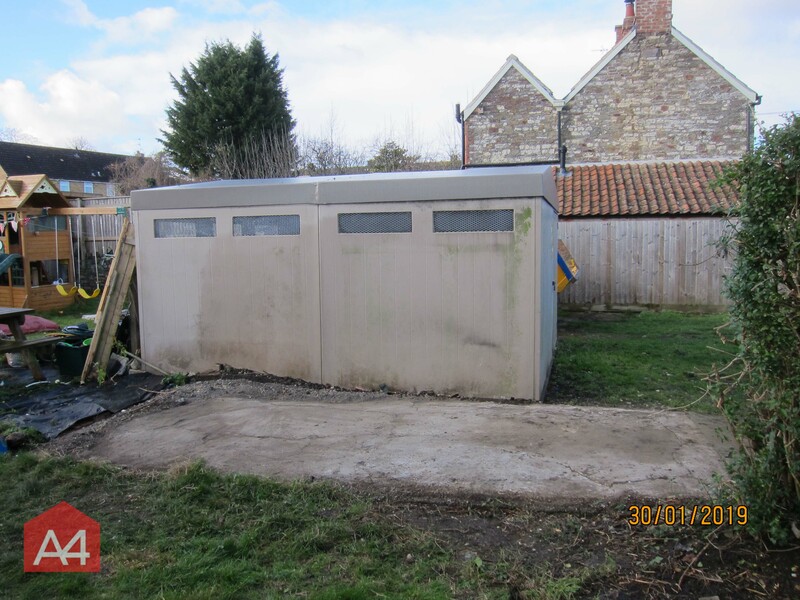 On completion, we issue an Environment Agency consignment note which is proof of legal carriage and disposal. 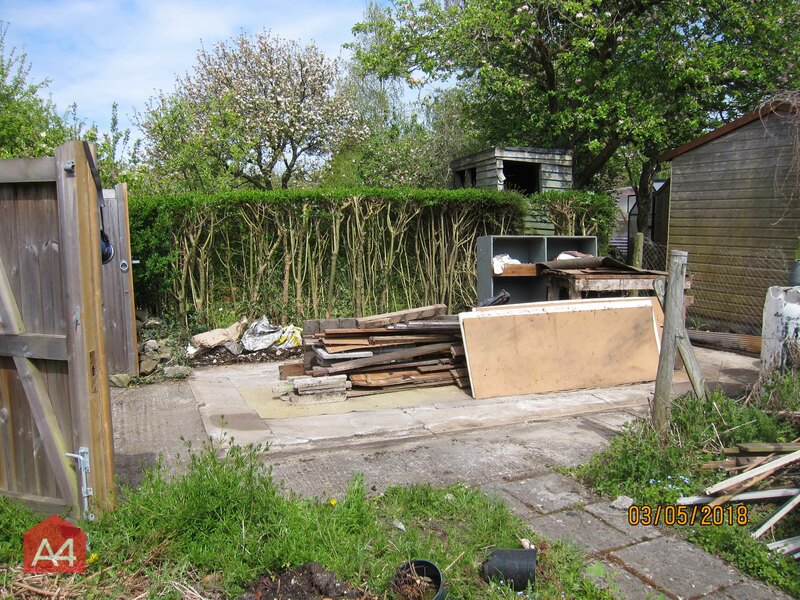 02/05/2018 - Some photos attached of a garden shed that we demolished yesterday. 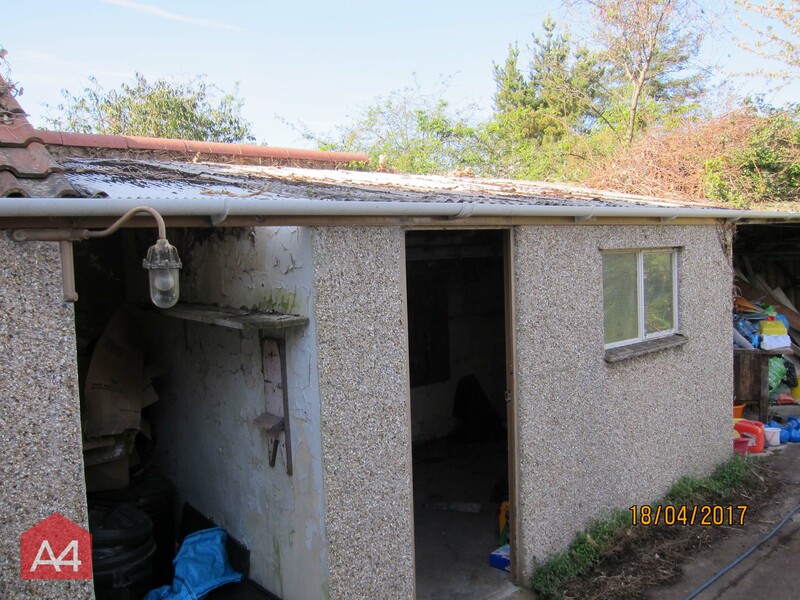 Timber frame with asbestos cement walls and roof, it was originally built in 1983 we believe based on the date on the newspapers beneath the timber floor. 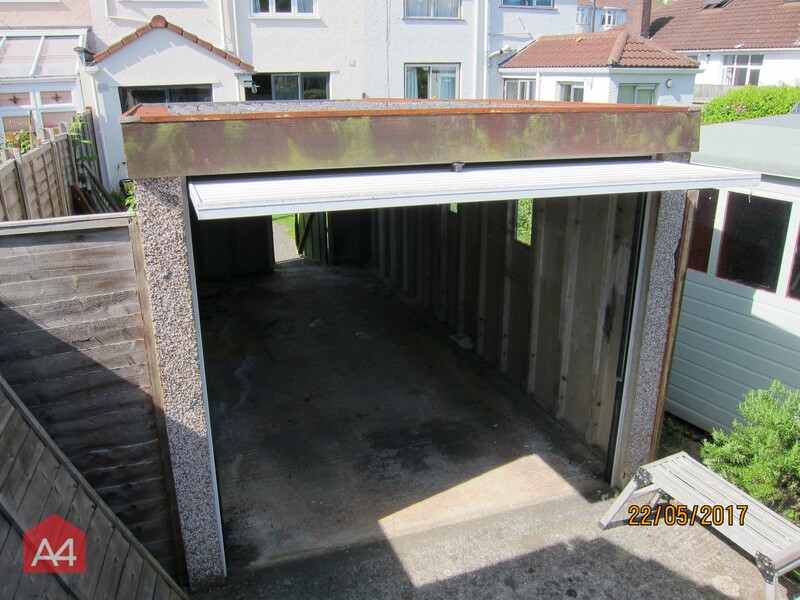 26/04/2018 - Another garage bites the dust, featured in the photos below! 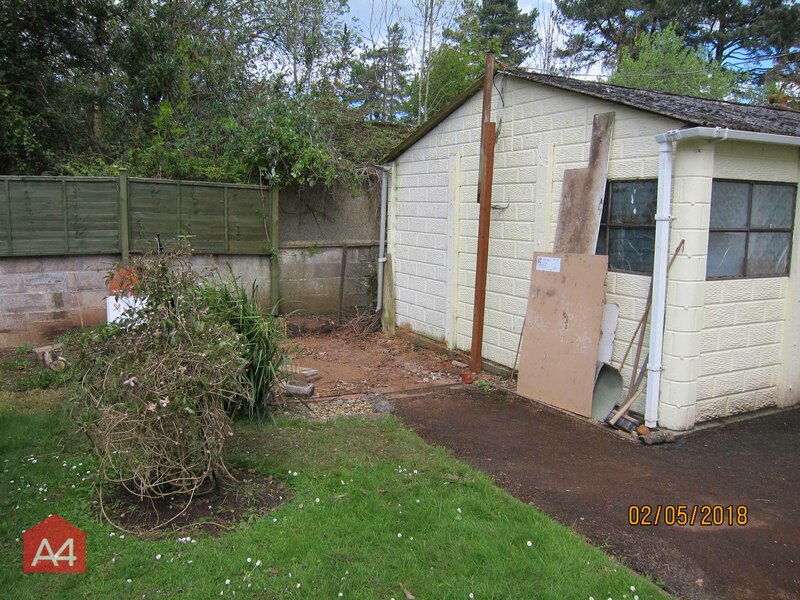 This was was timber-framed garage with asbestos cement in the roof and walls. 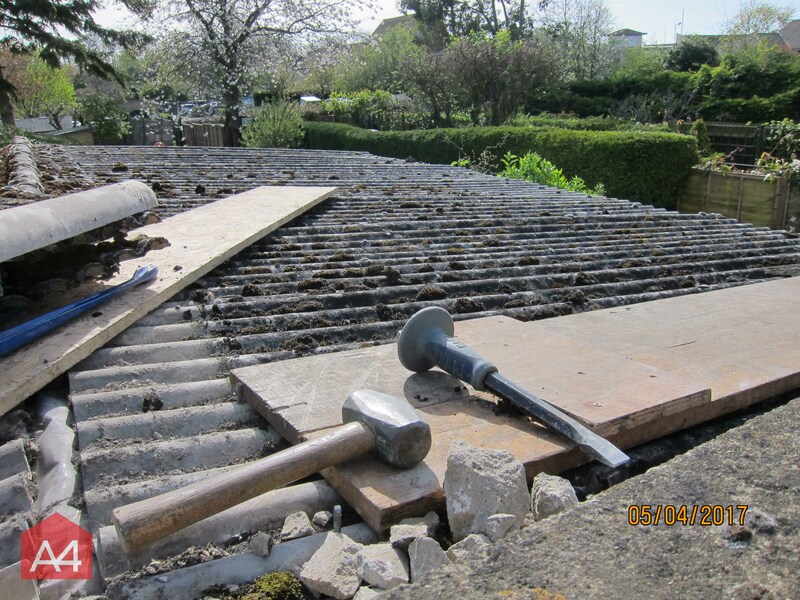 Removed swiftly & safely! 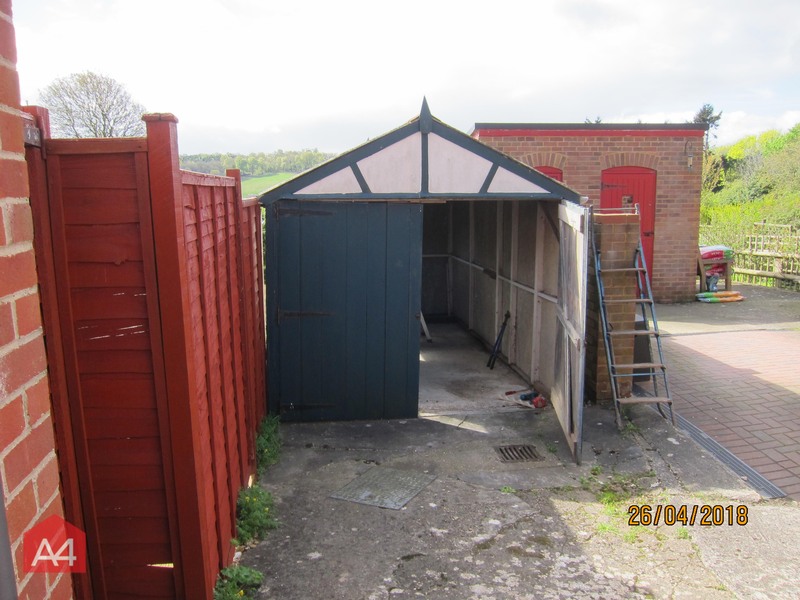 28/03/2018 - Today we removed a garage and shed in Backwell. 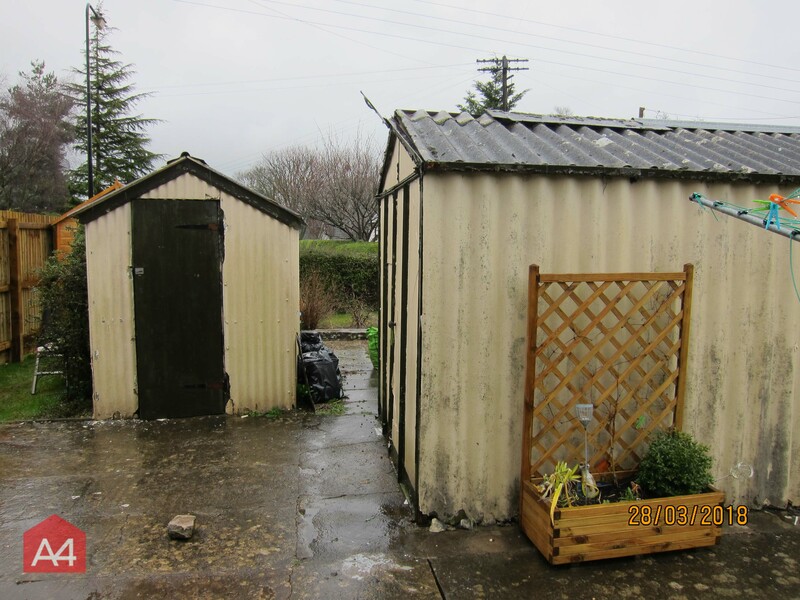 I have attached some photos, the buildings had asbestos cement roofs and walls, the garage had a steel frame and the shed a timber frame. 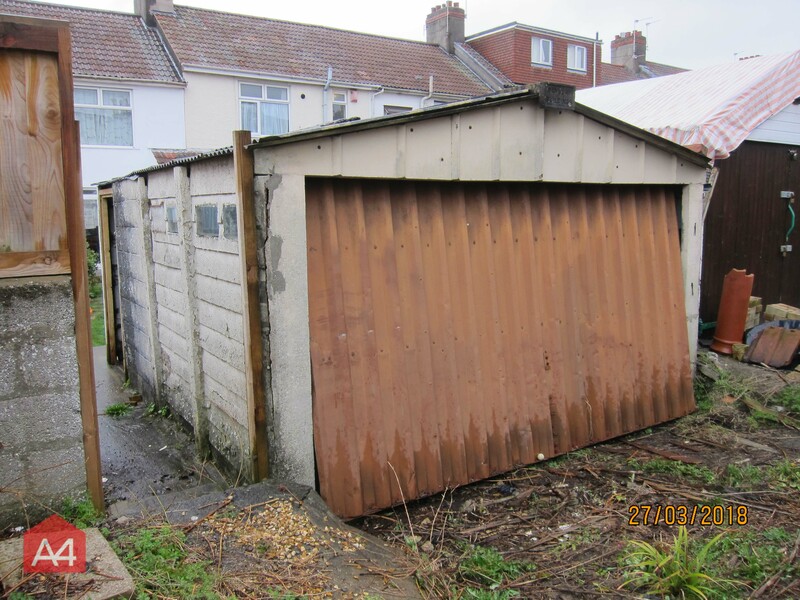 27/03/2018 - Carried out a garage removal in Bristol. 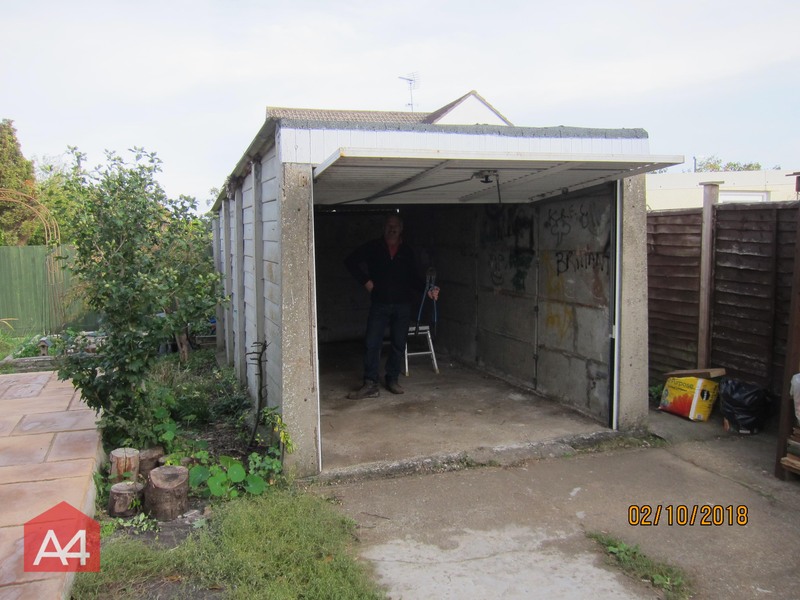 This garage contained asbestos cement roof sheets, precast concrete walls, steel roof frame, metal up & over door. 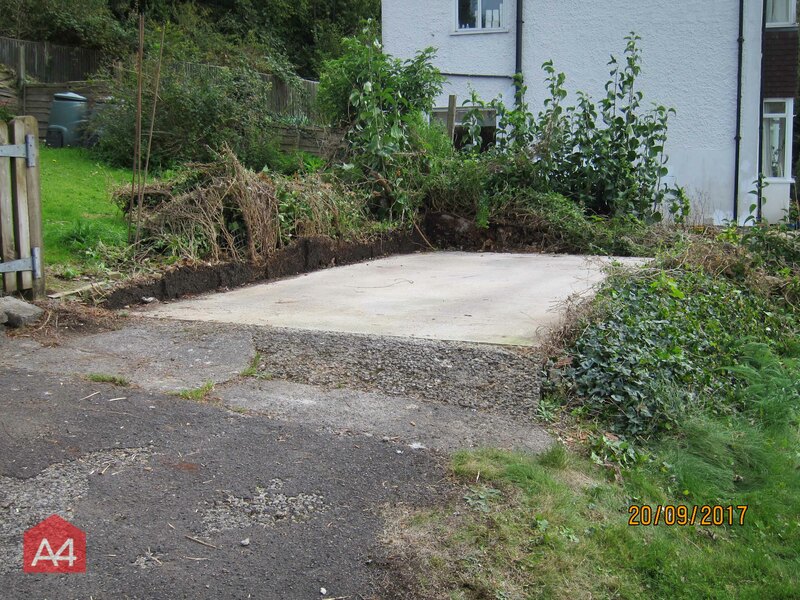 All taken down in quick time! 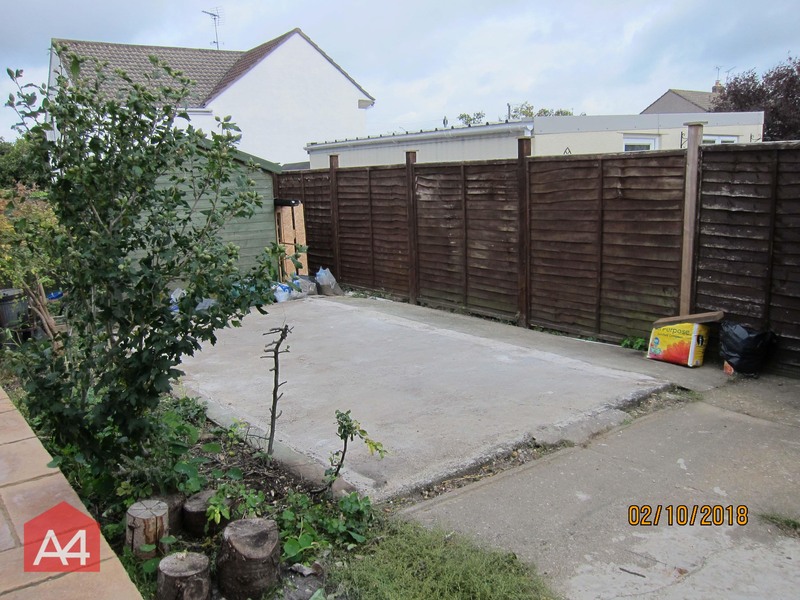 12/02/2018 - Some photos of a whole garage removal in Melksham. 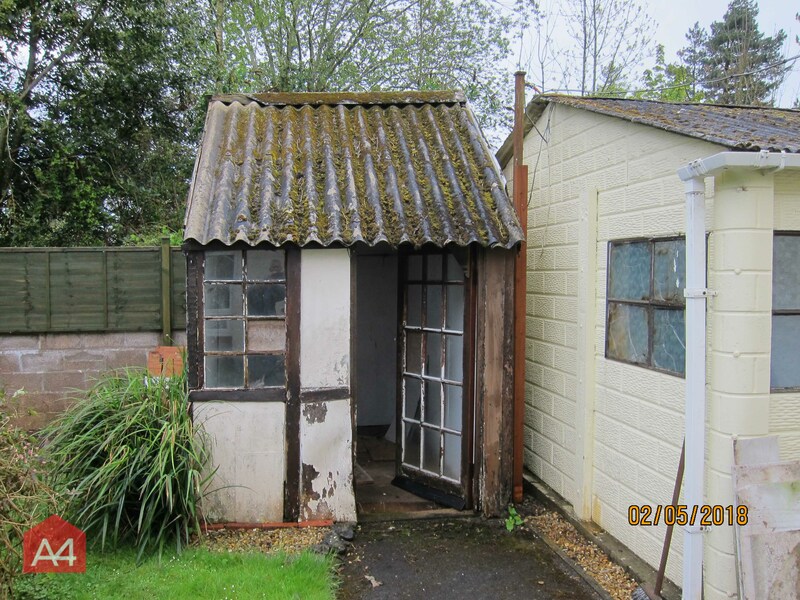 This one had a asbestos cement roof on steel roof frame, precast concrete panel walls and metal up and over door. 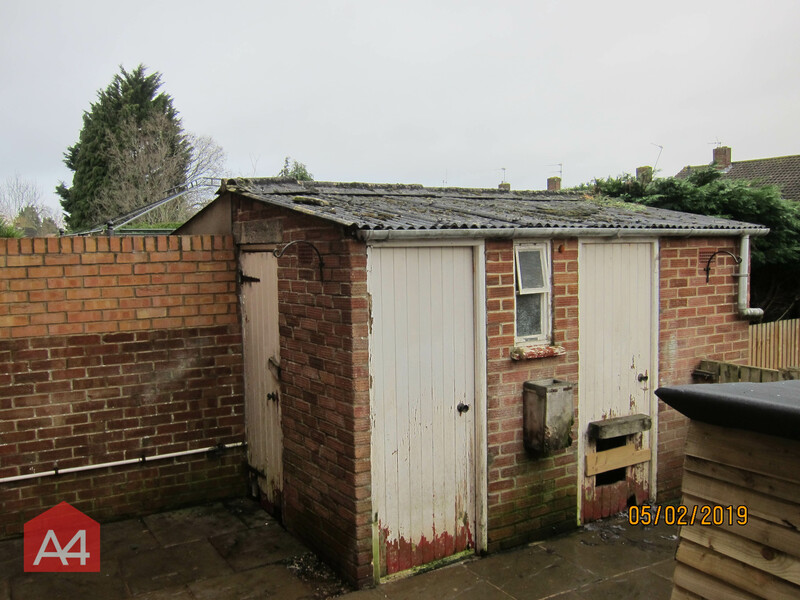 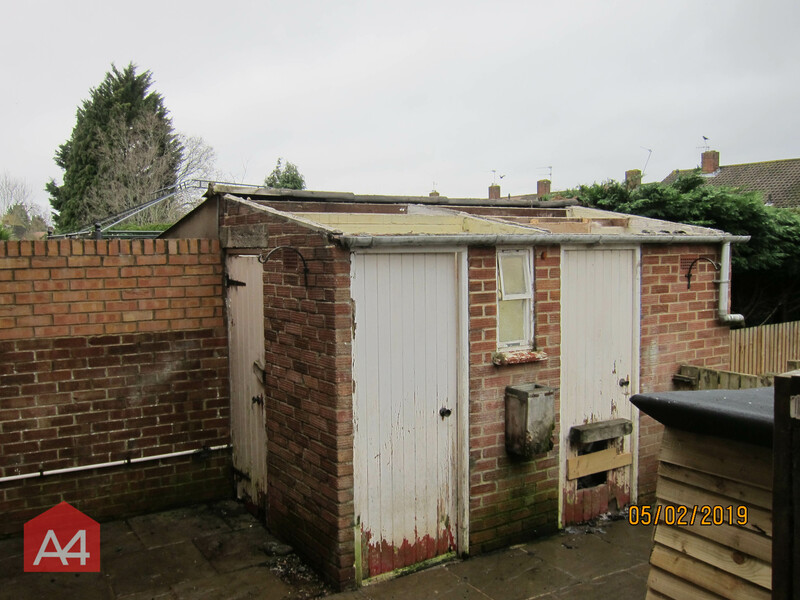 23/01/2018 - A quick before and after - A complete removal of a garage with a concrete panel frame & walls and an asbestos cement roof. 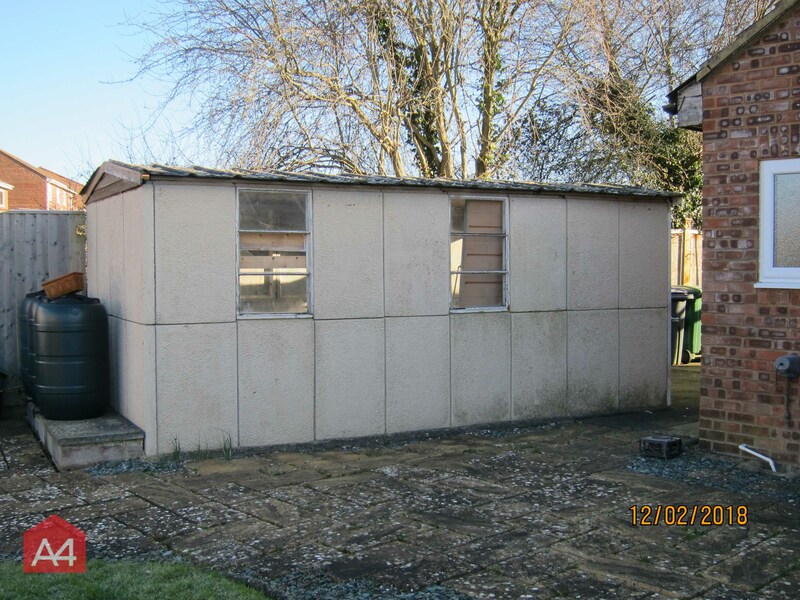 The asbestos was double wrapped and transported in our trailer to a site which is licensed by the Environment Agency to receive hazardous waste. 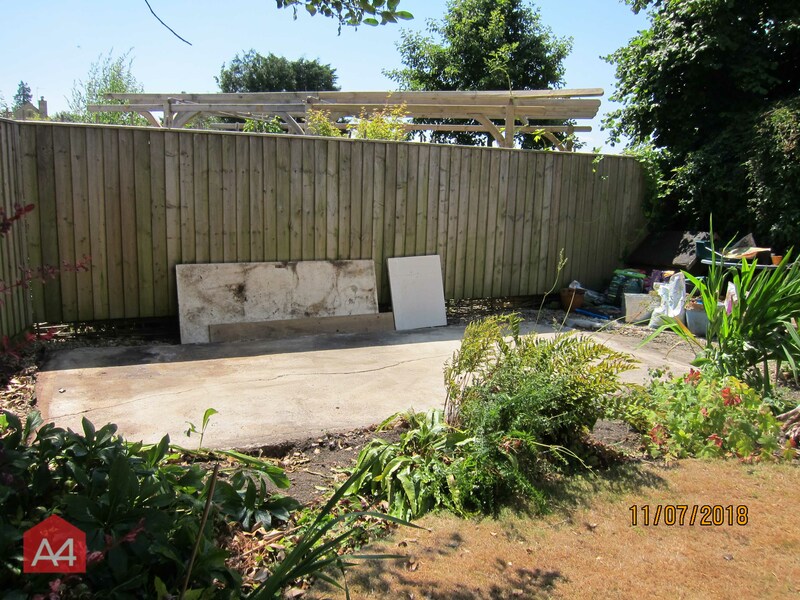 The concrete columns and slabs were placed in an onsite skip to be taken away for crushing/recycling. 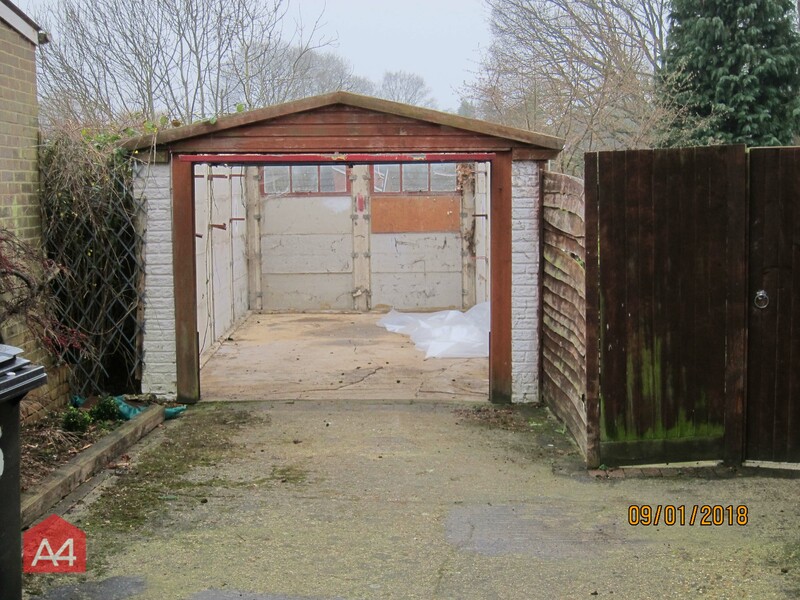 09/01/2018 - Complete garage removal in Reading - all waste disposed of! 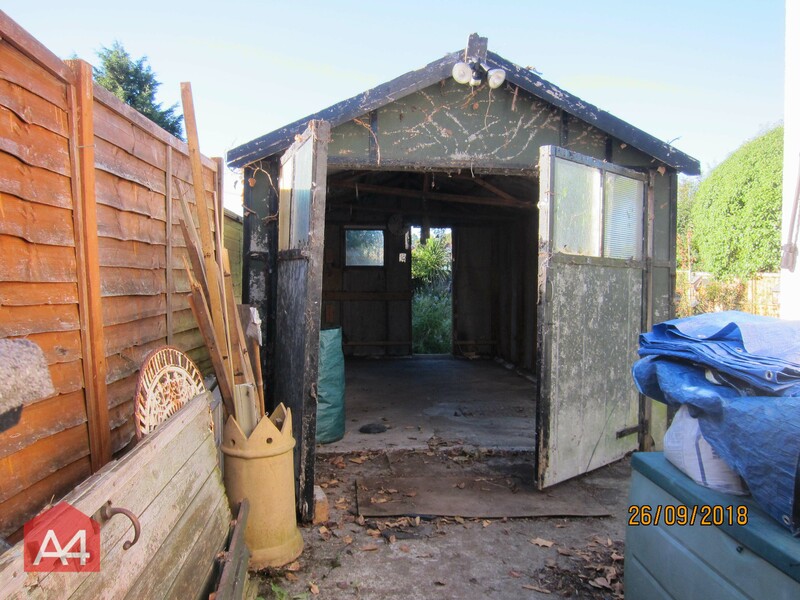 27/11/2017 - Here are three photos for a complete garage removal in Filton, Bristol. 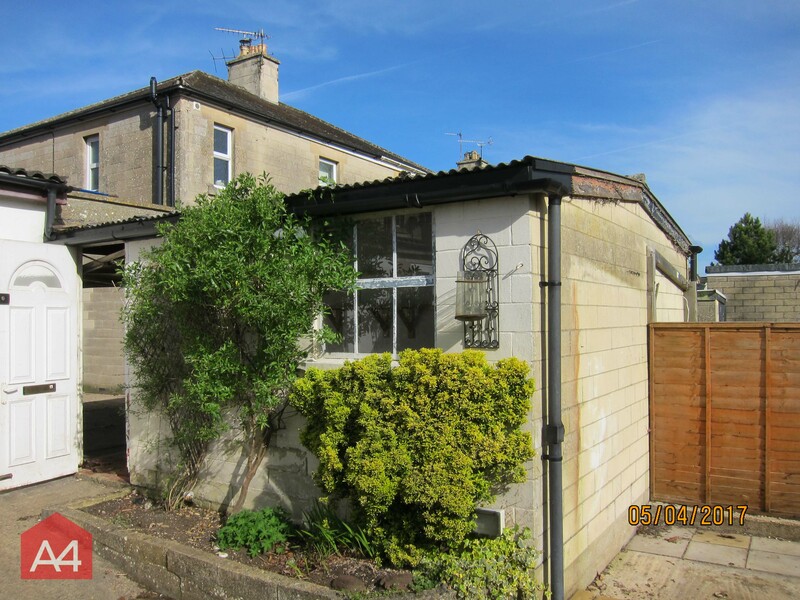 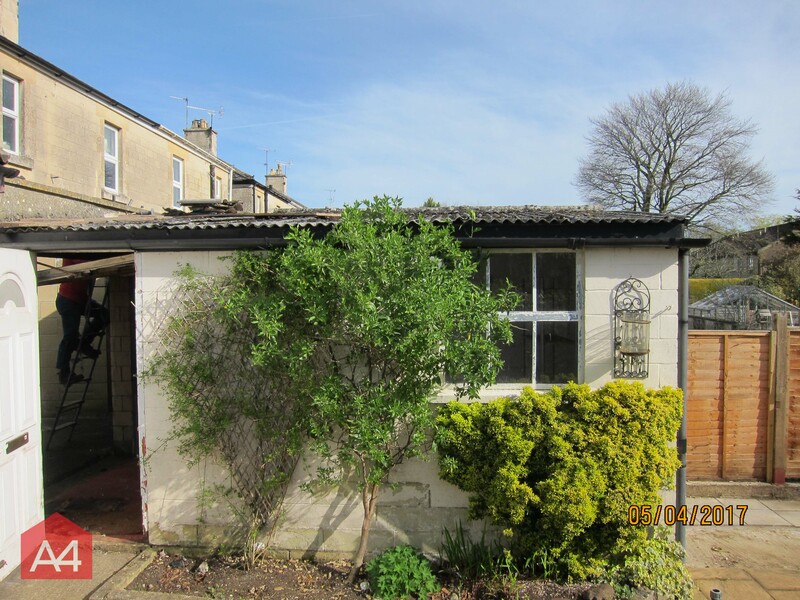 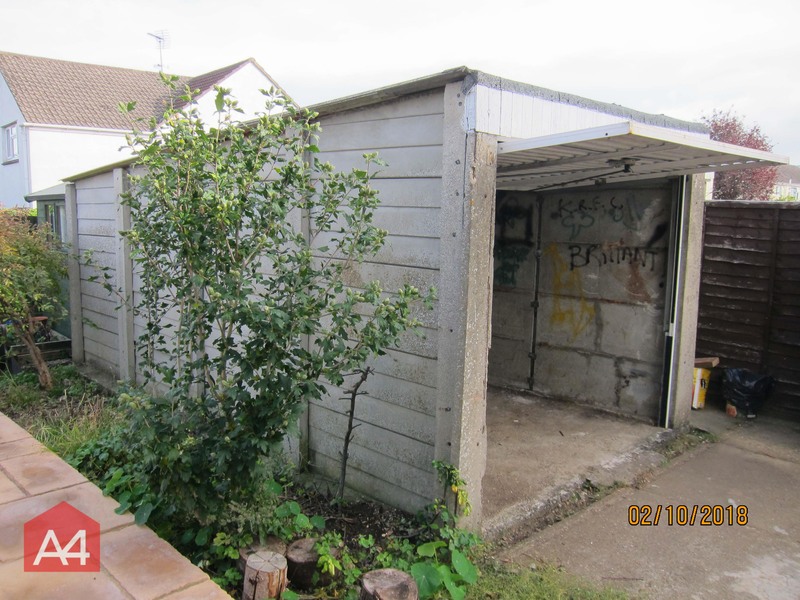 The garage consisted of concrete block walls, built with a timber frame roof using asbestos cement roof covering. 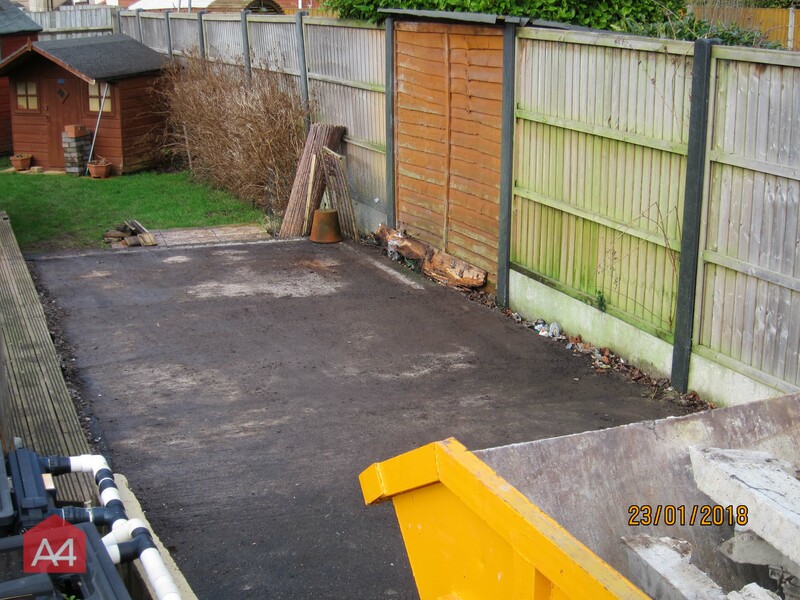 The contents were disposed of quickly and safely! 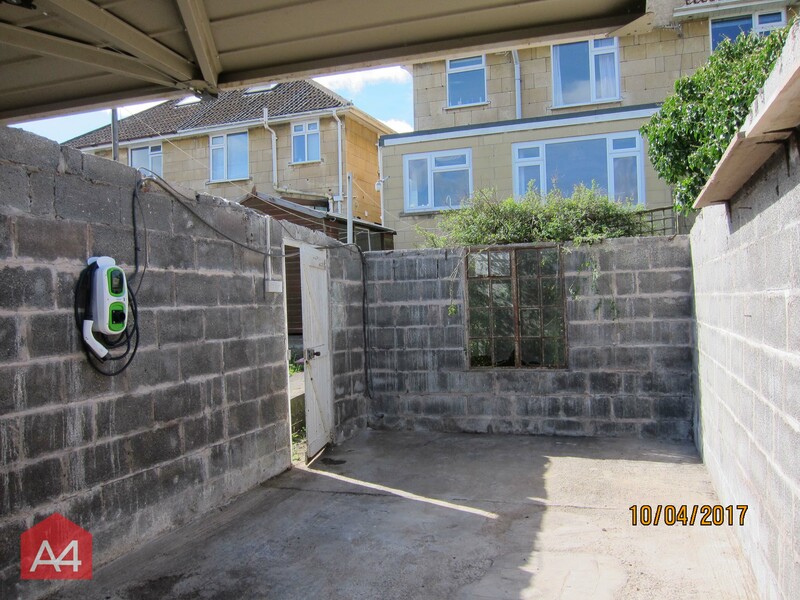 20/09/2017 - We removed a whole garage in Bath this morning. 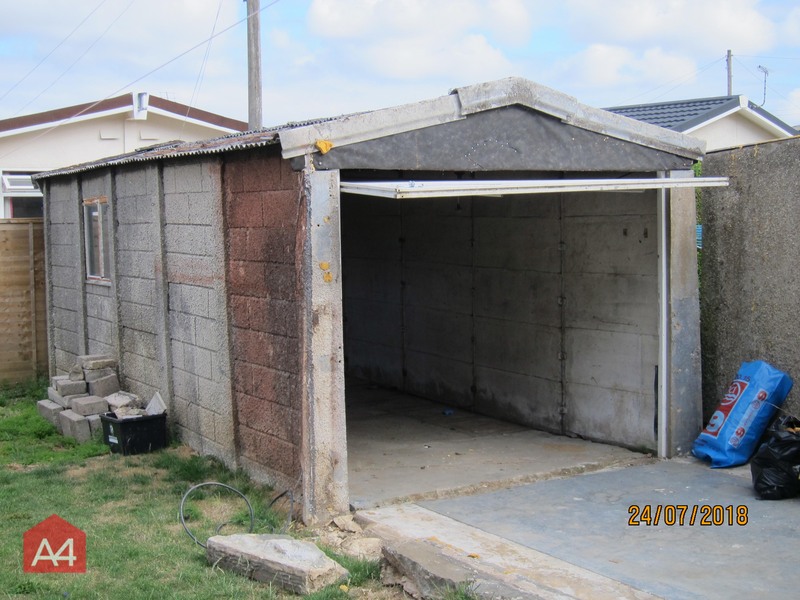 The garage is a precast concrete construction with an asbestos cement sheet roof. 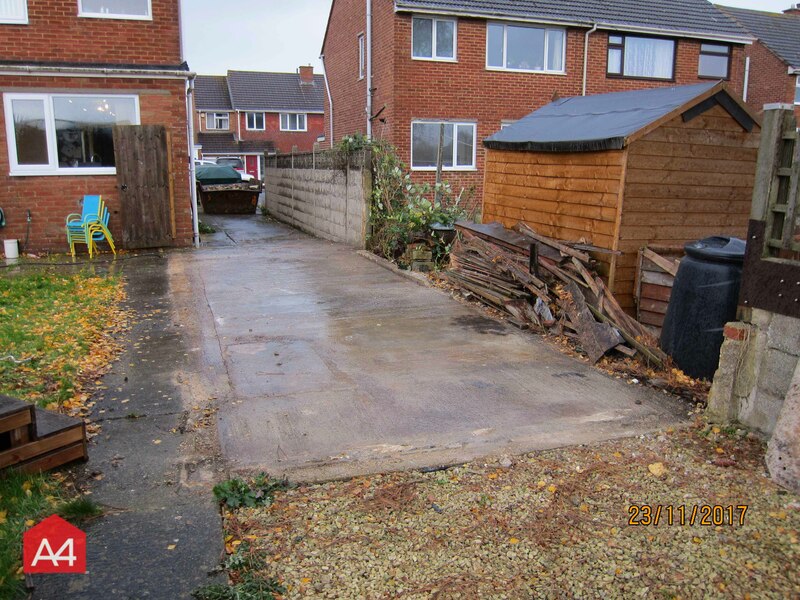 The garage was taking up valuable space so the homeowner was relieved when it was finally removed! 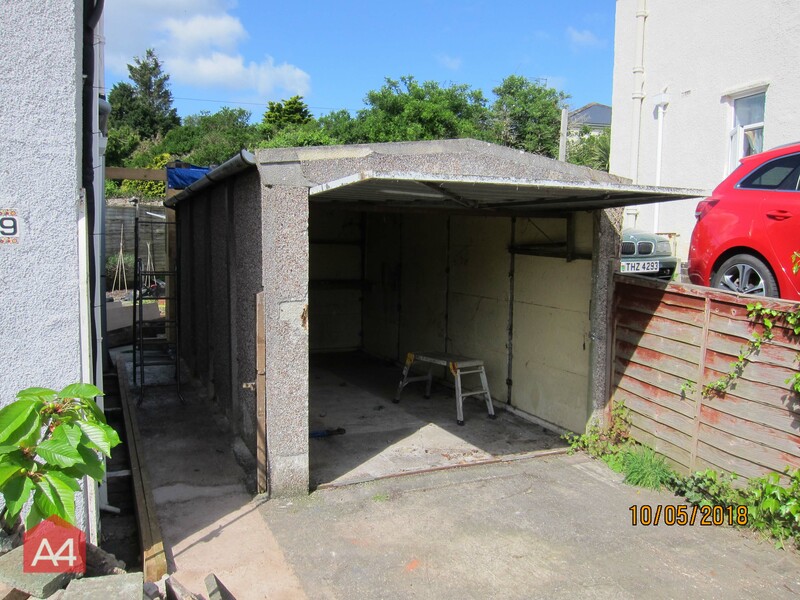 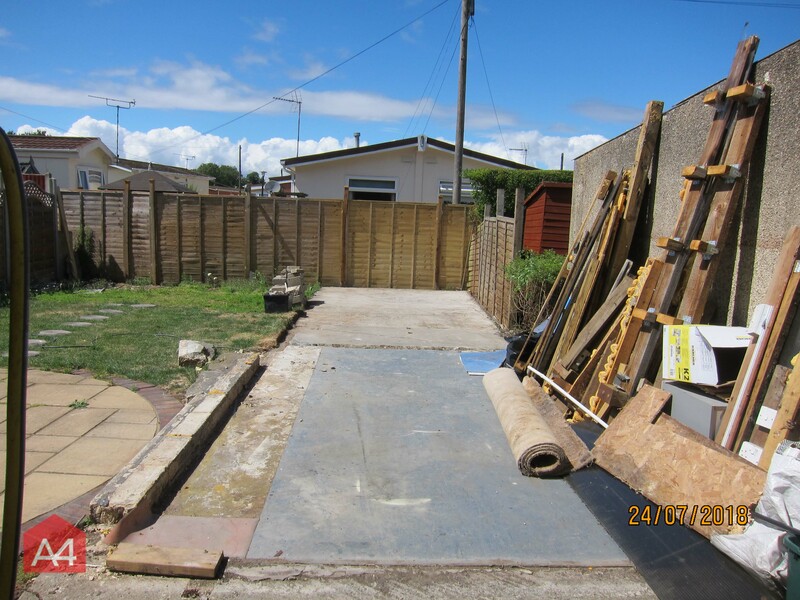 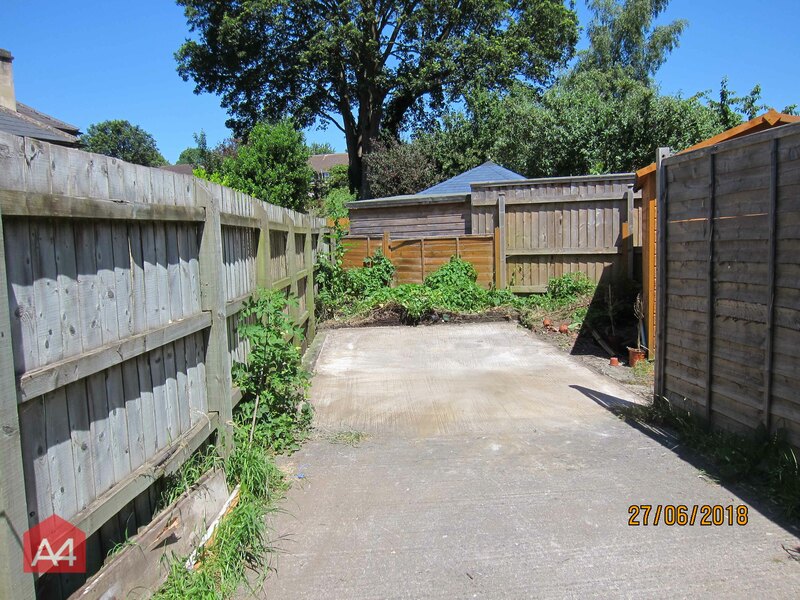 13/07/2017 - This job was a complete garage removal, even though the only part of the structure that had an asbestos containing material was the roof - corrugated asbestos cement sheets. 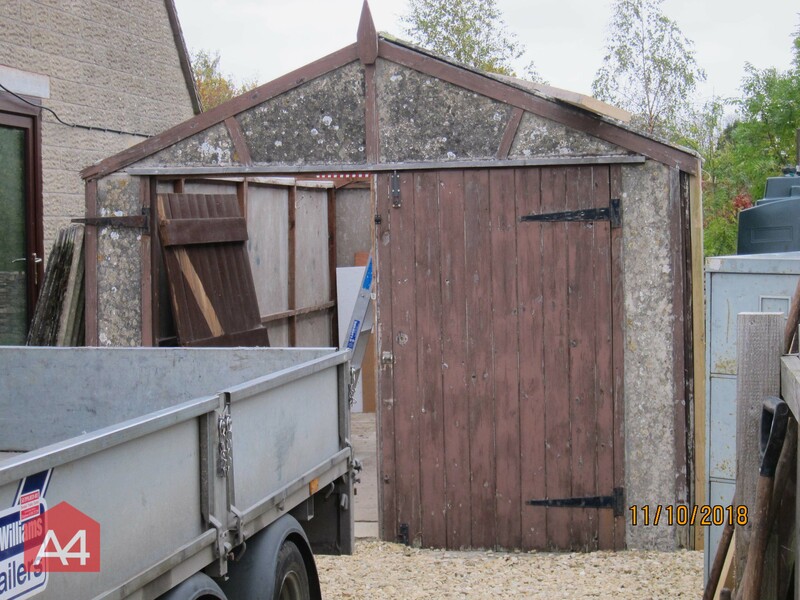 The asbestos element was double wrapped and placed in our trailer for specialist disposal, we hired a skip to remove the remainder of the building. 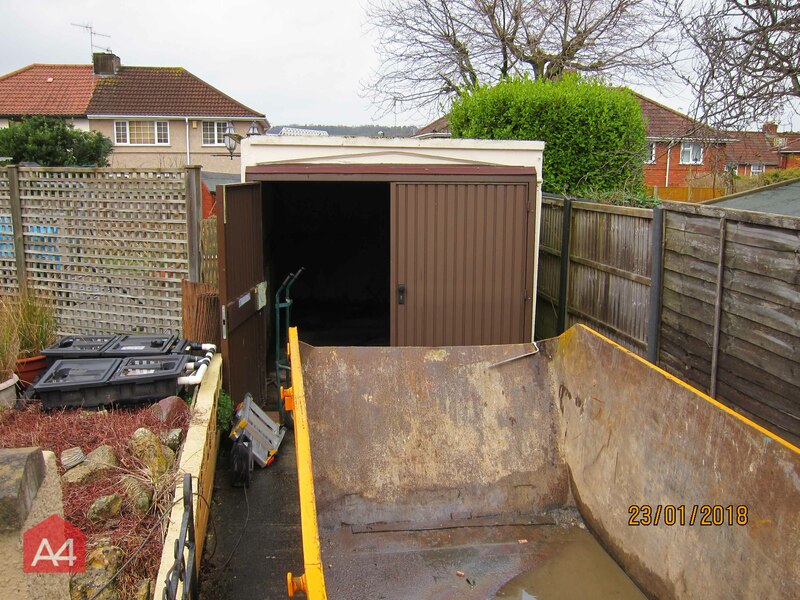 We do quite a few of these, entire garage or garden shed removals and are keen to do more. 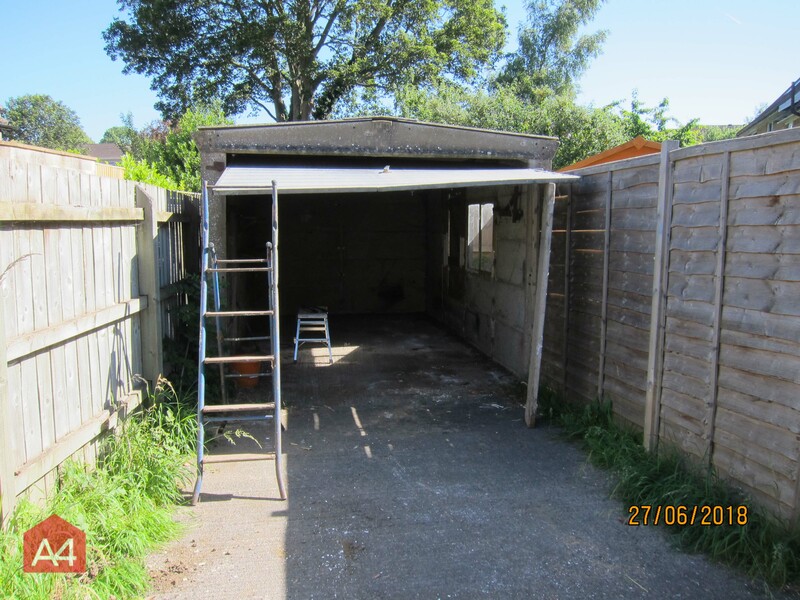 22/05/2017 - The garage has an asbestos cement roof which we quoted for, then the customer decided to have the entire garage removed. 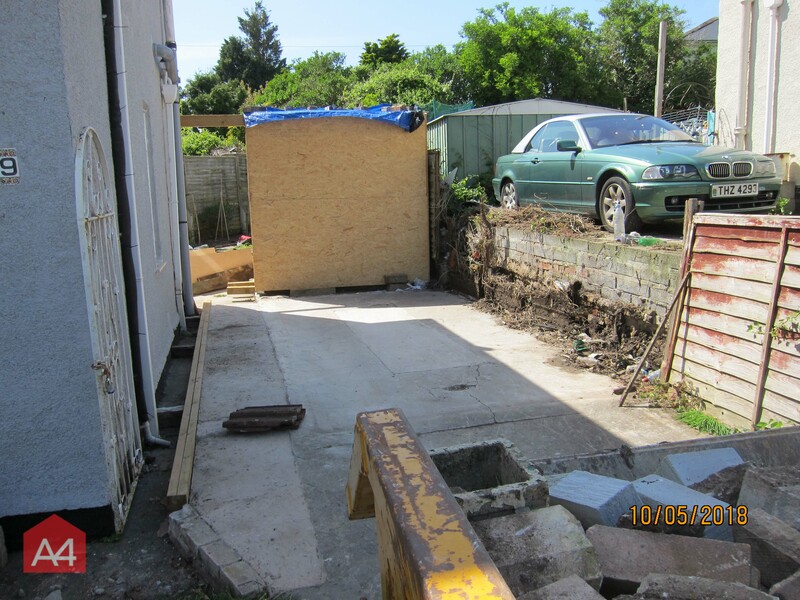 The frame is reinforced pre-cast concrete panels hence not hazardous waste; however we were able to remove both the asbestos waste followed by the garage frame. 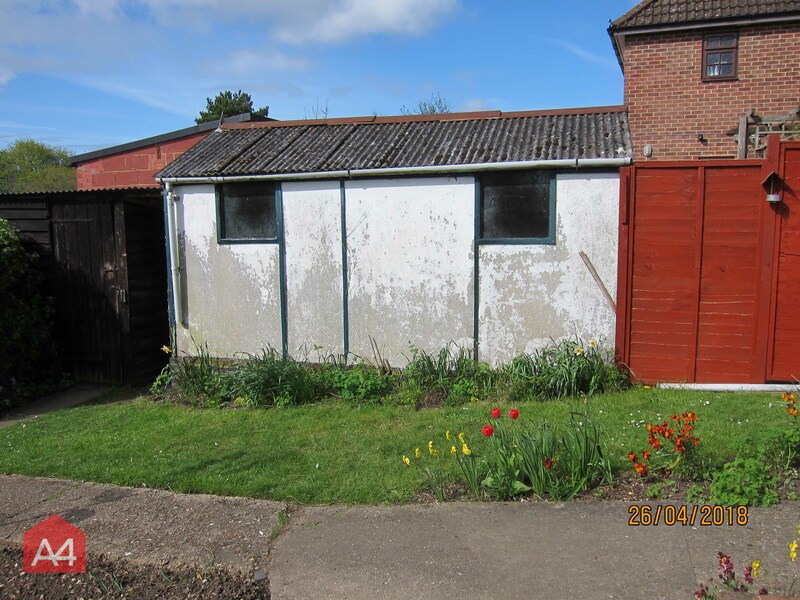 05/04/2017 - We removed the asbestos cement roofs from two garages today. 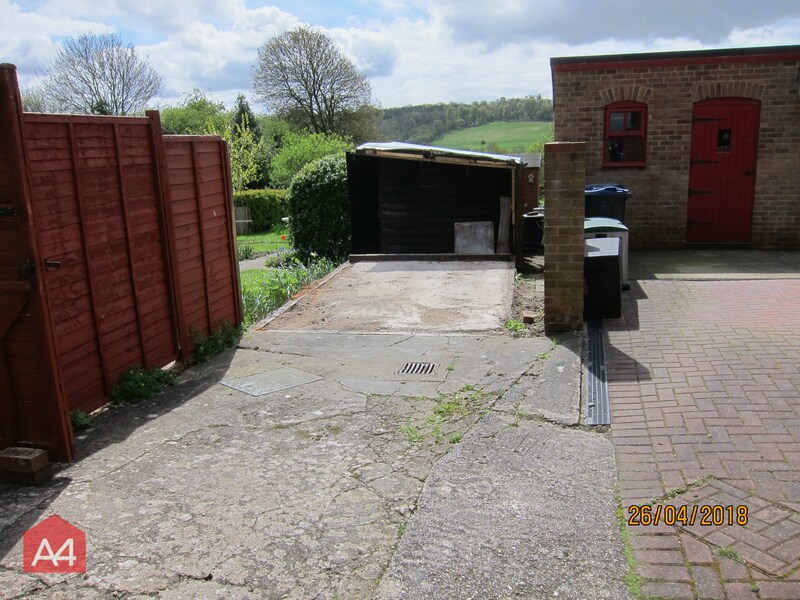 They are owned by two neighbours and as you can see from the photos the garages are semi-detached. 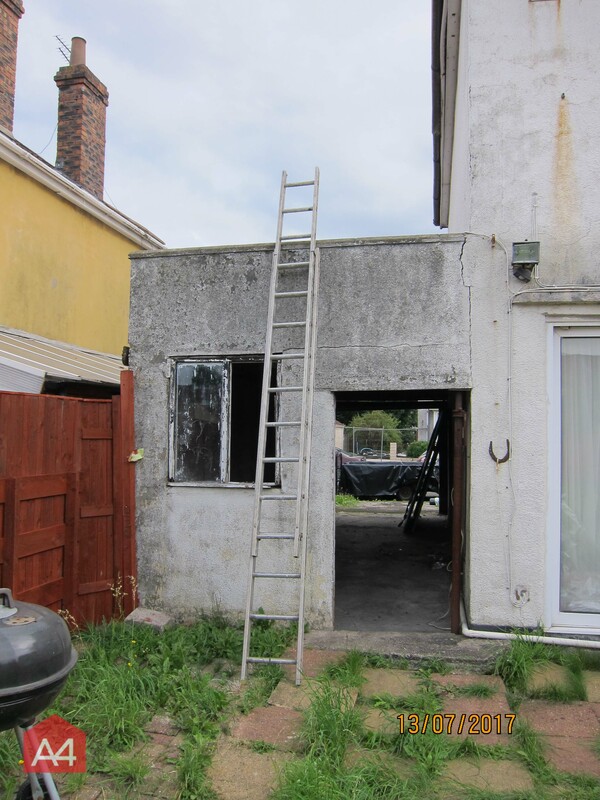 removal of the roofs will allow the builder to demolish the structures and then both neighbours are having new extensions to their living space built. 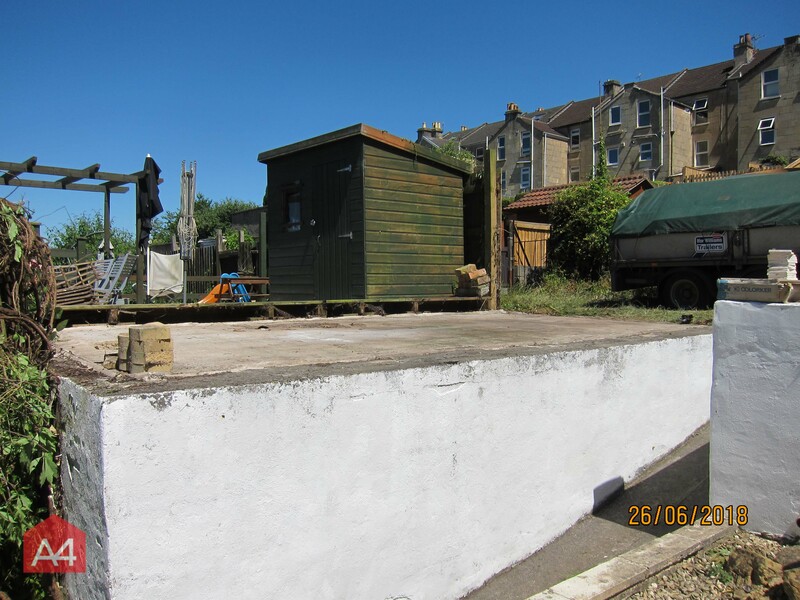 18/04/2017 - We removed an asbestos cement garage roof from a home in Bristol - All prepared for a new garage roof. 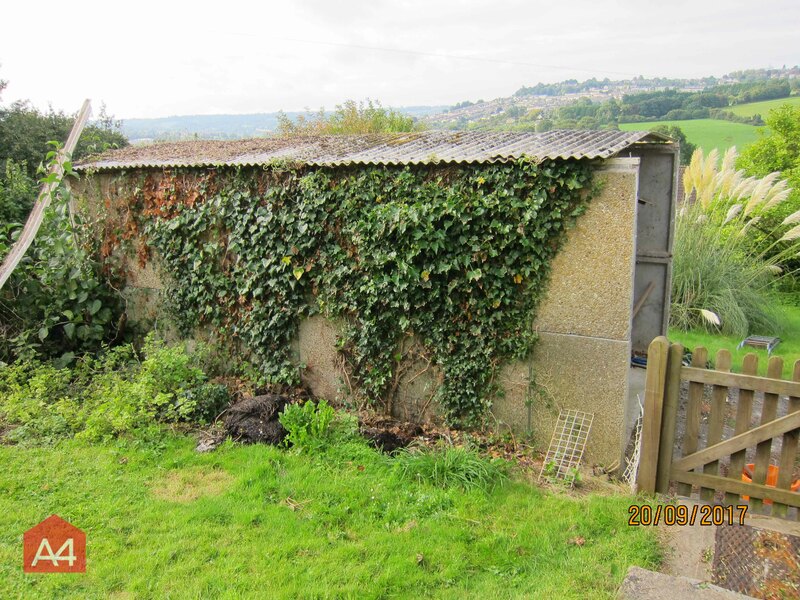 18/04/2017 - A4 carried out a removal on an asbestos cement shed roof in the Keynsham area. 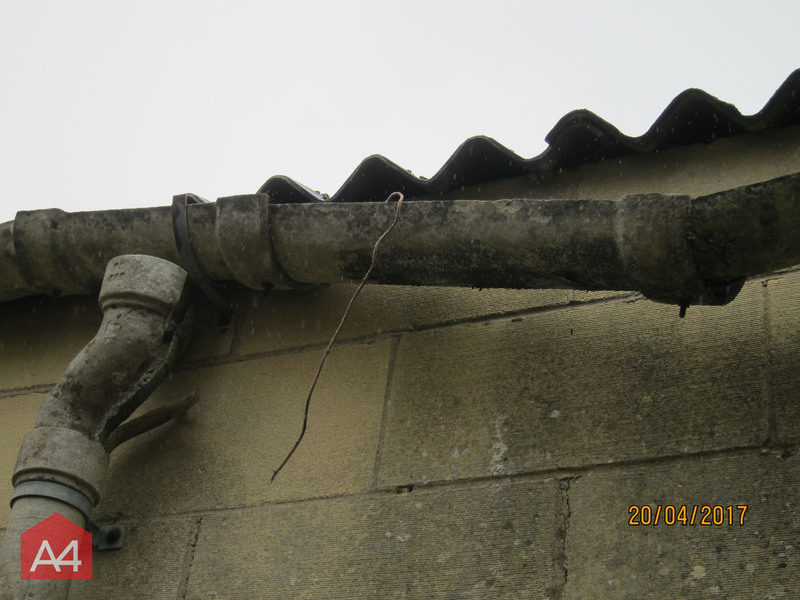 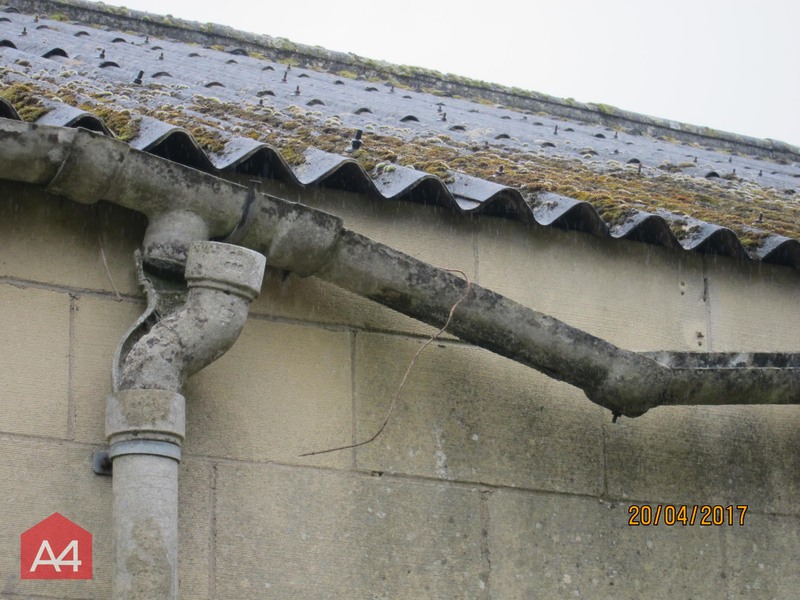 20/04/2017 - Featured below is a section of asbestos cement gutter and downpipe that A4 removed from the rear elevation of a commercial MOT garage in Melksham.